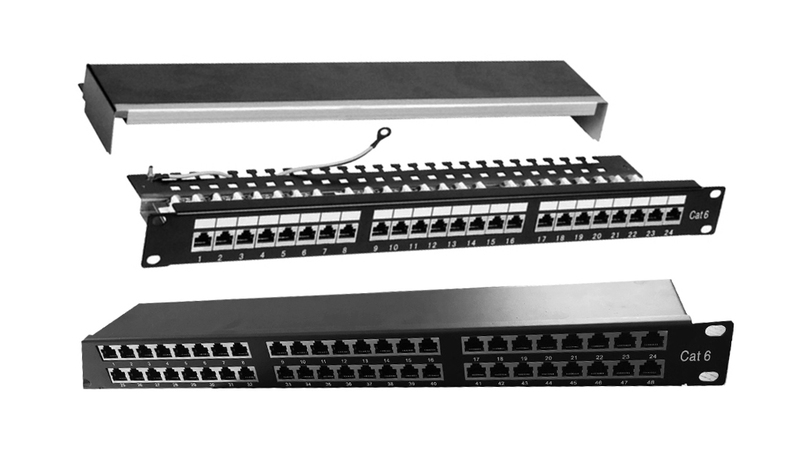 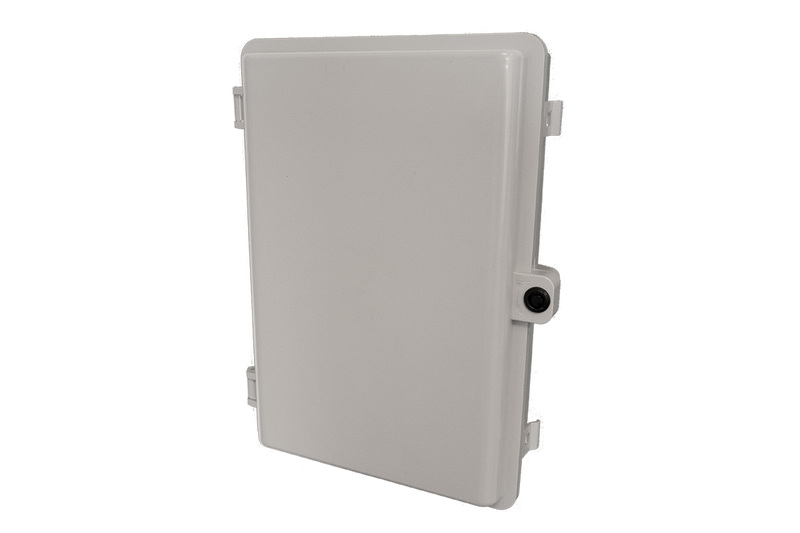 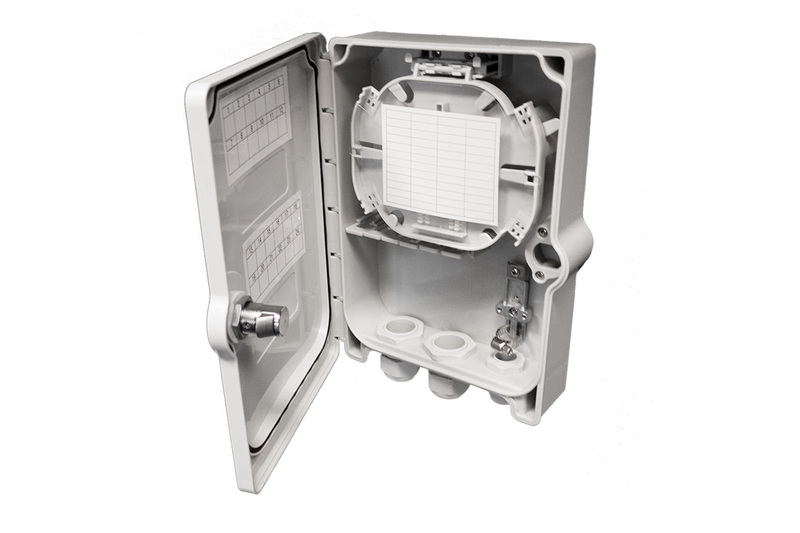 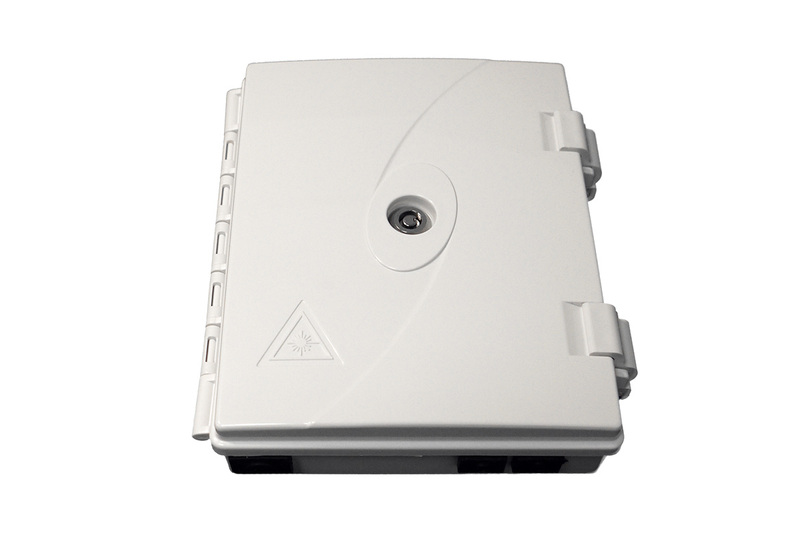 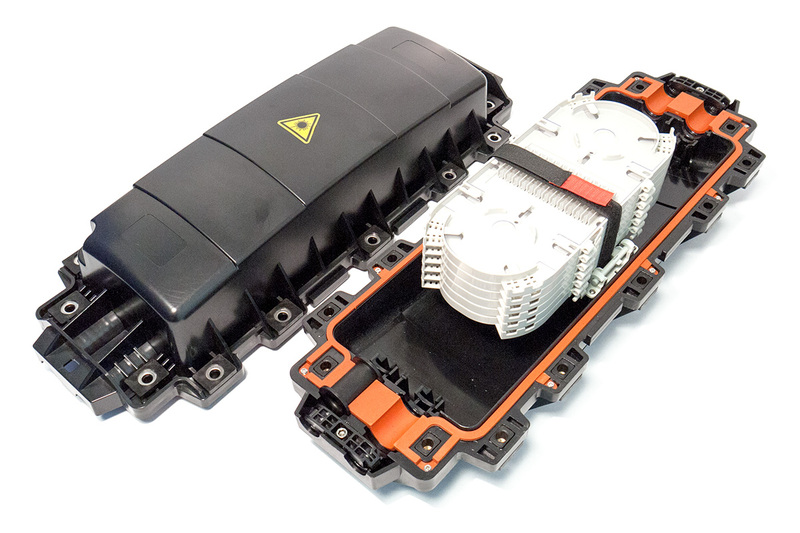 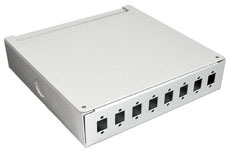 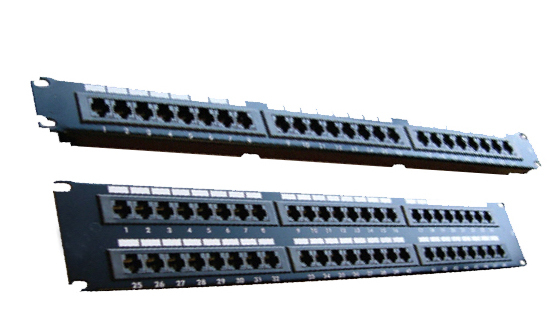 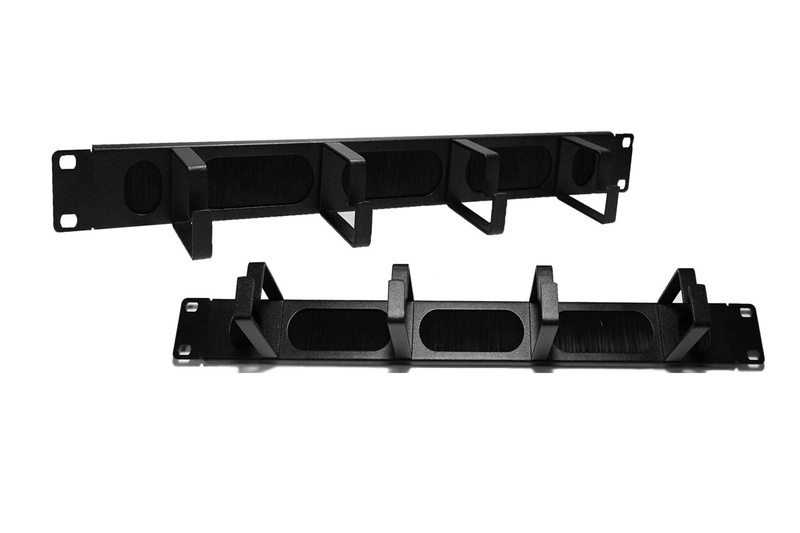 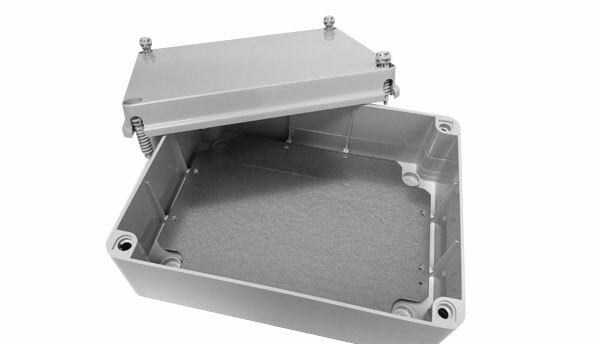 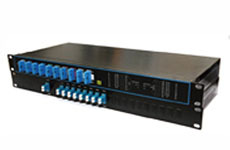 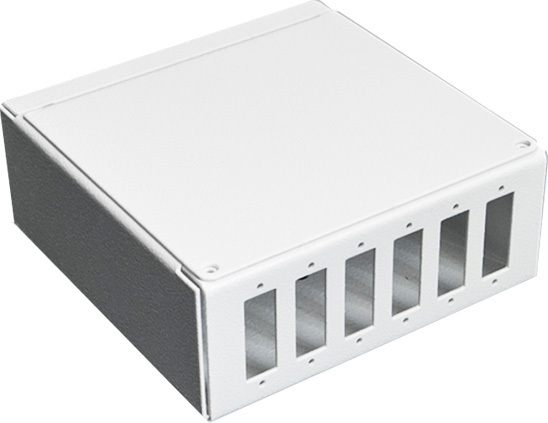 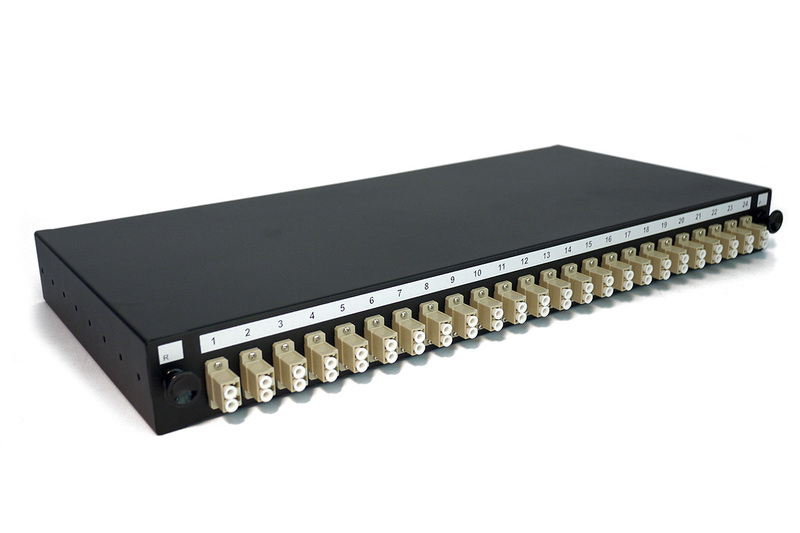 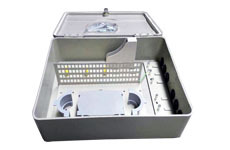 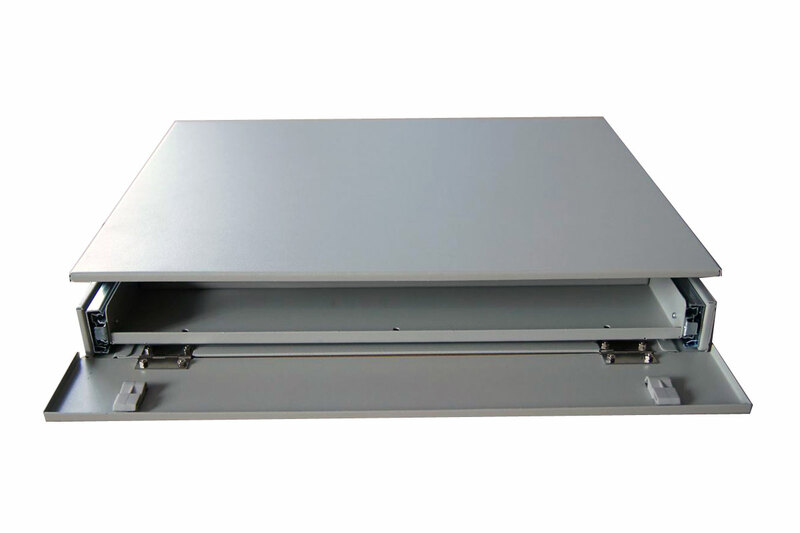 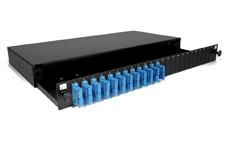 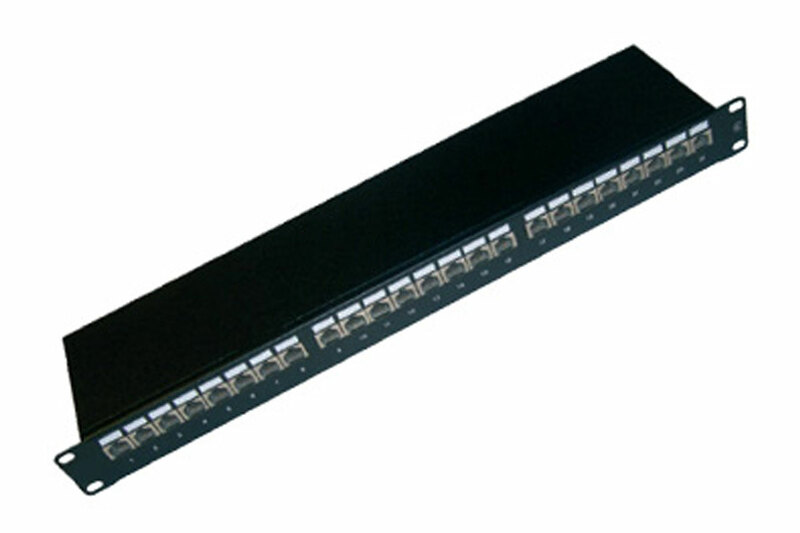 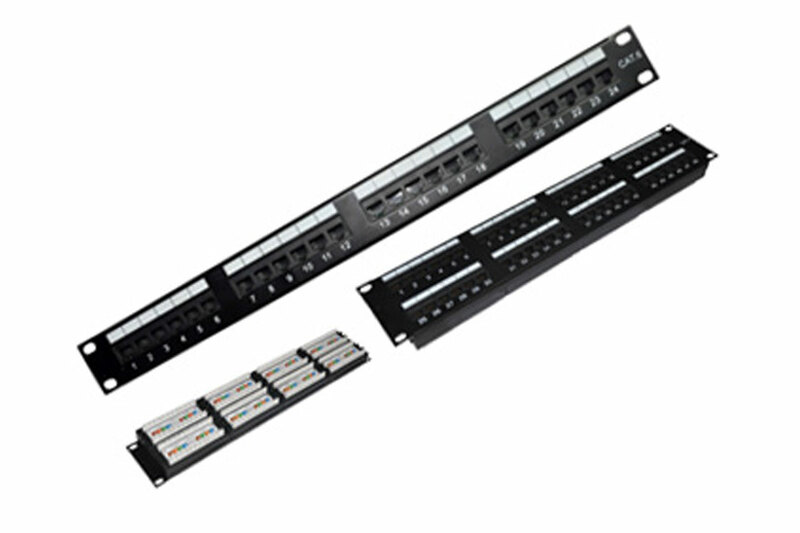 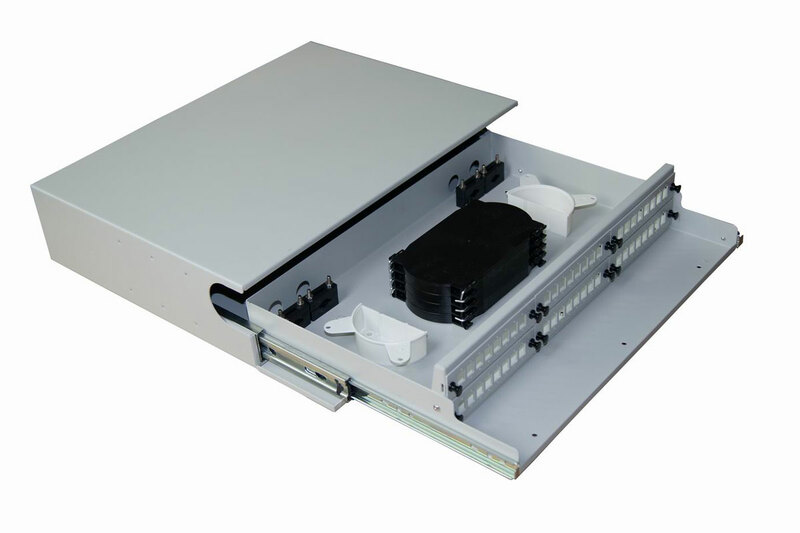 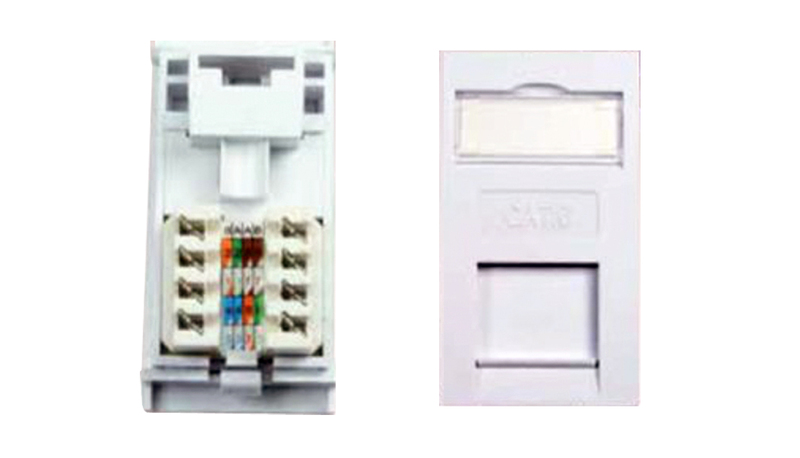 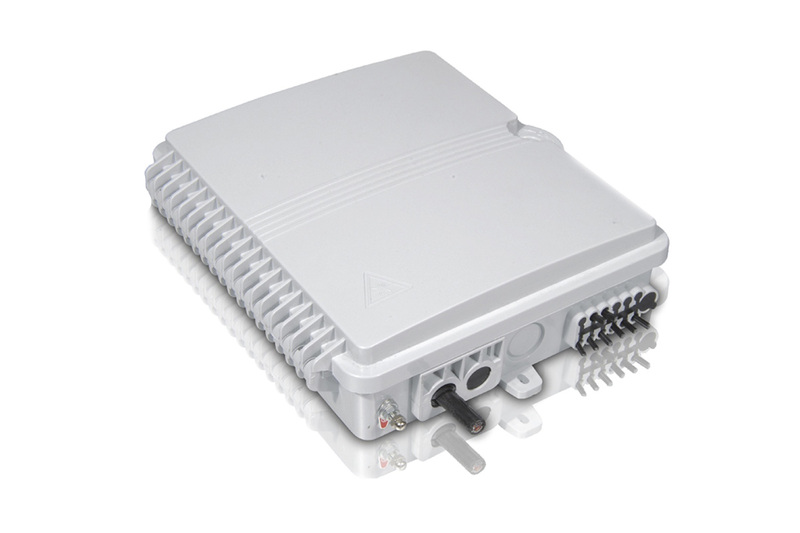 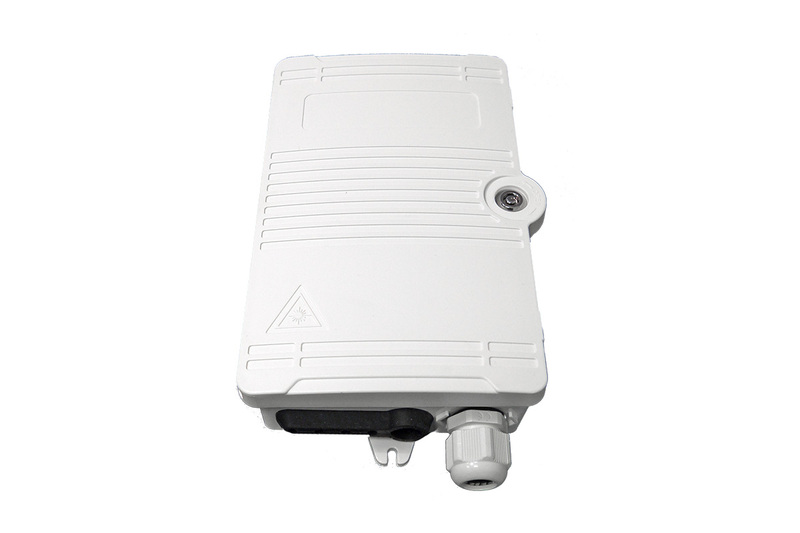 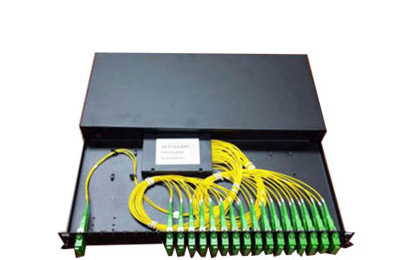 The IP65 2-way Central Lock Wall Box / Fibre Optic Distribution Box is used for the distribution and termination of fibre optic cable devices. 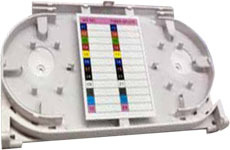 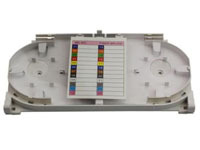 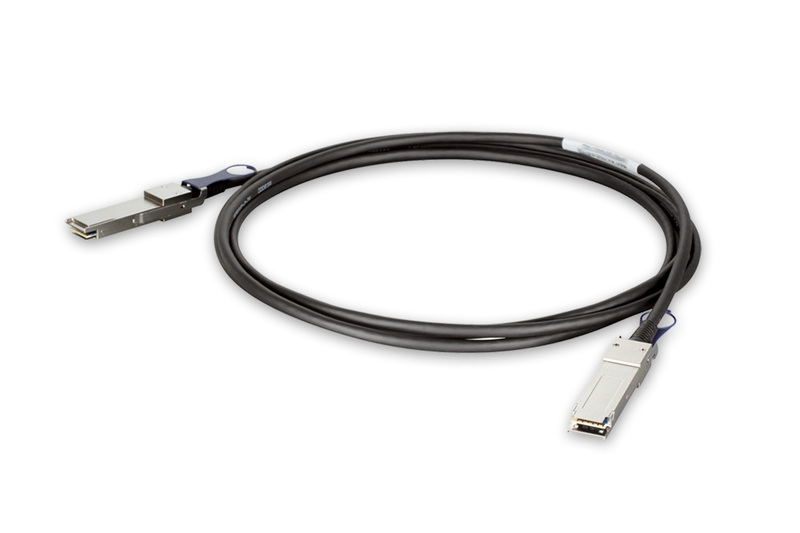 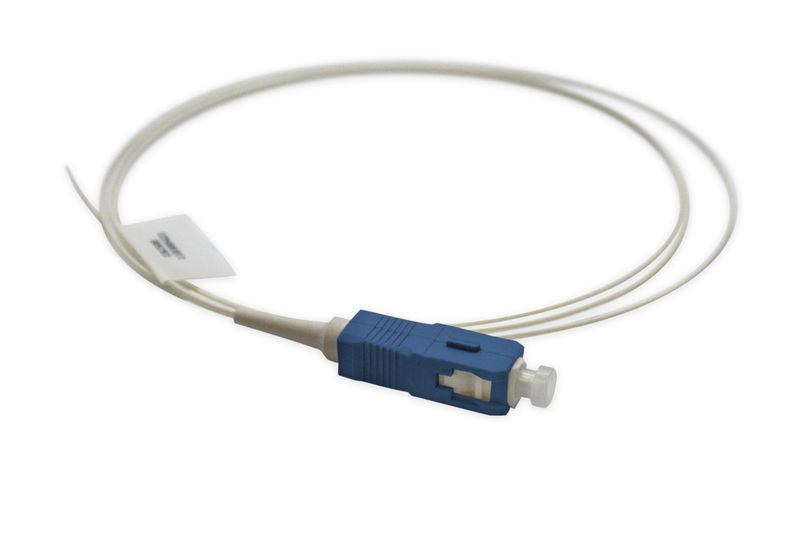 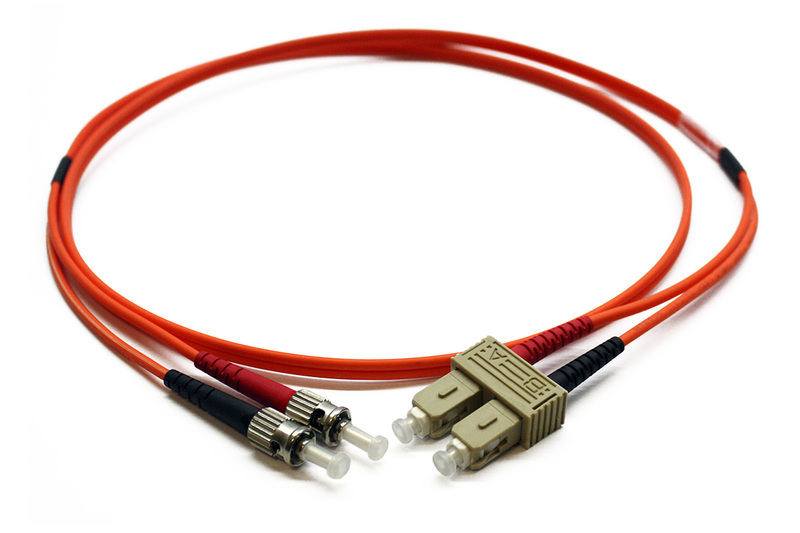 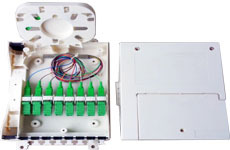 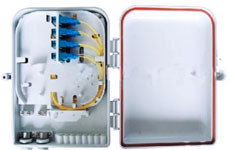 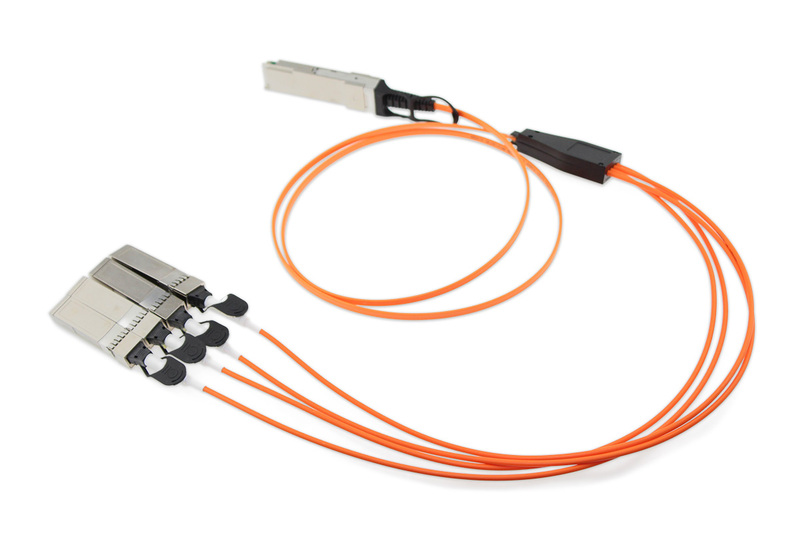 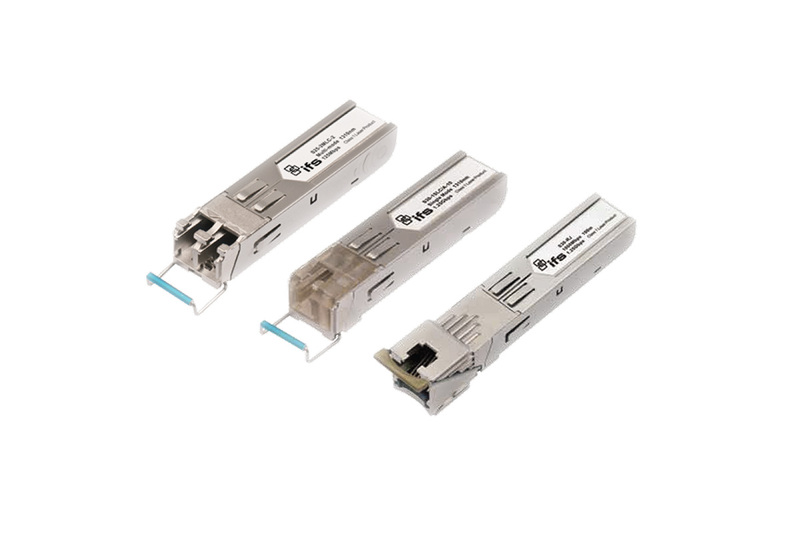 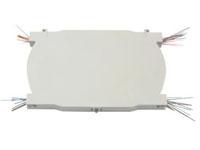 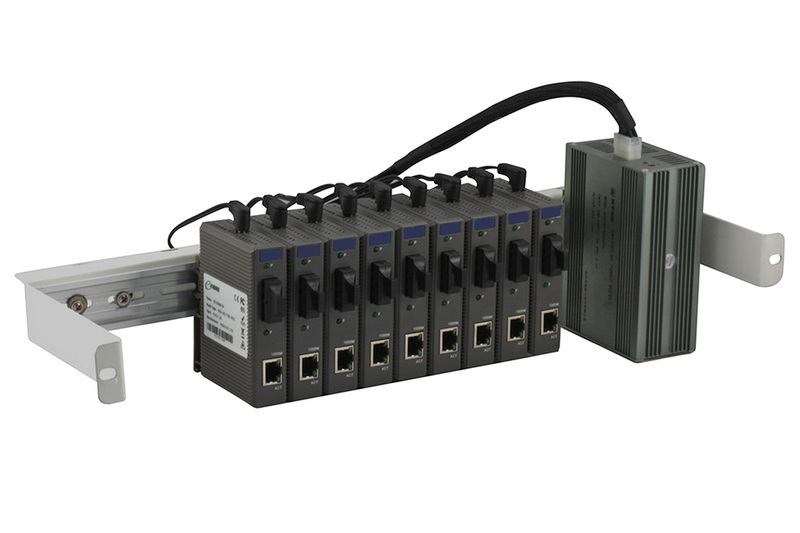 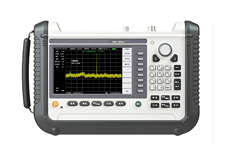 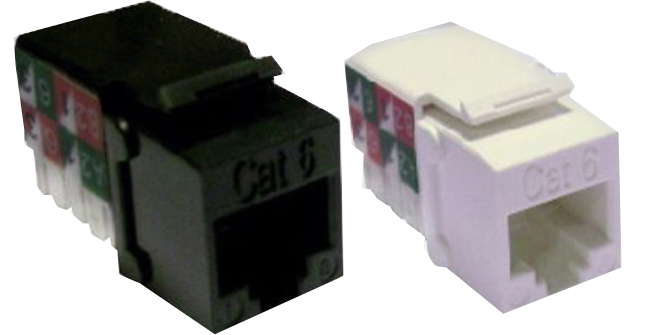 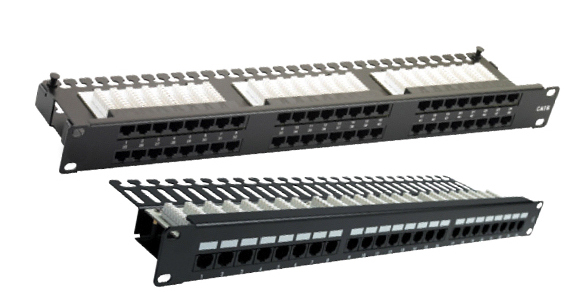 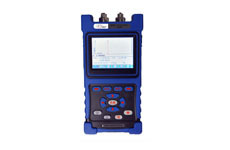 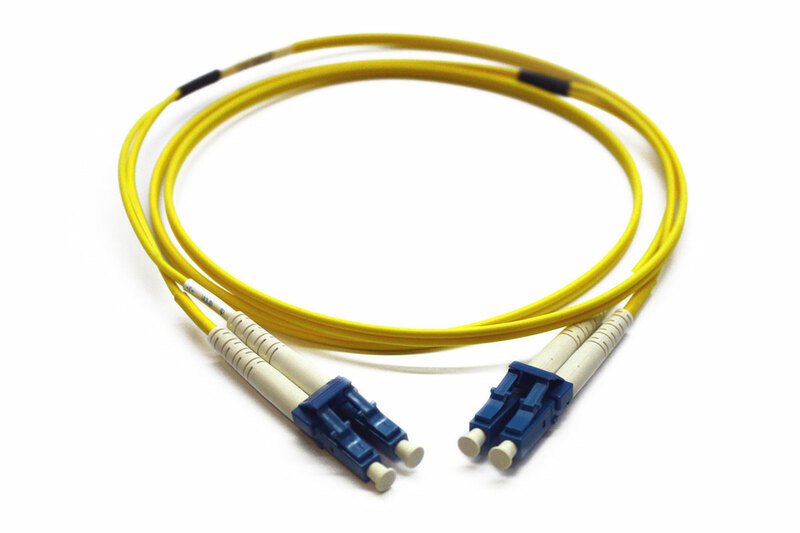 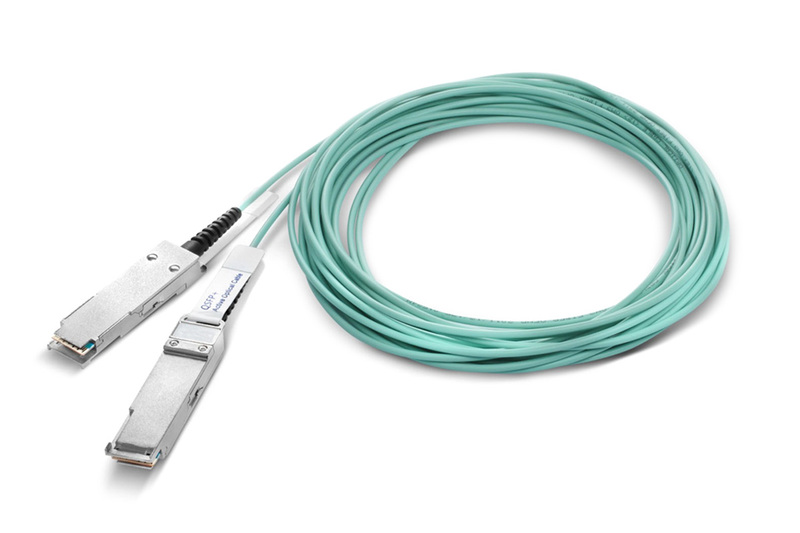 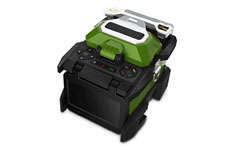 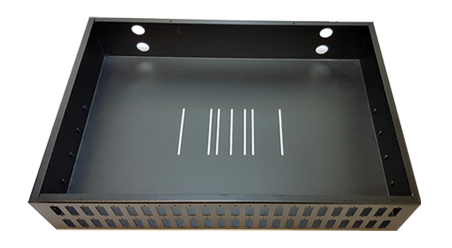 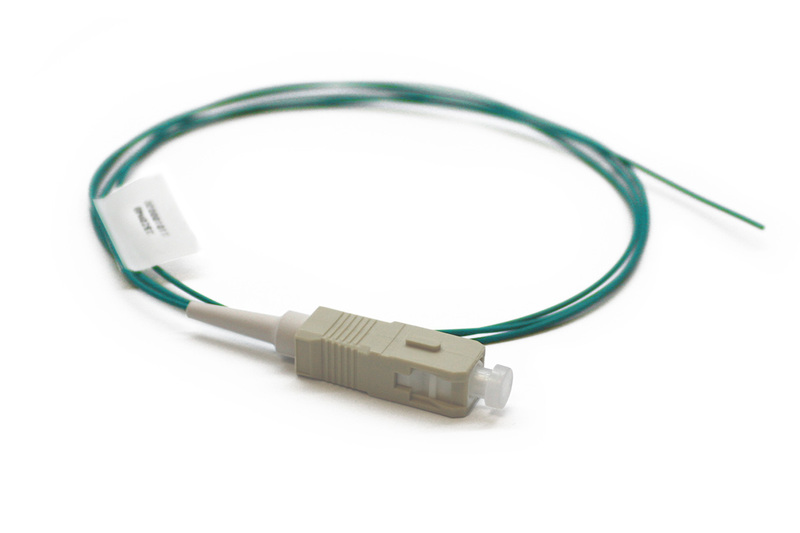 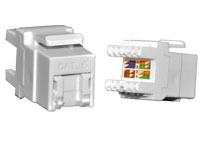 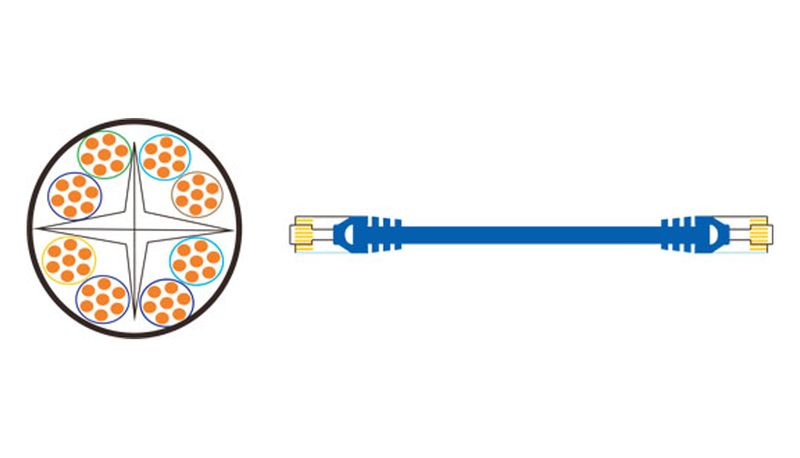 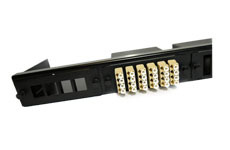 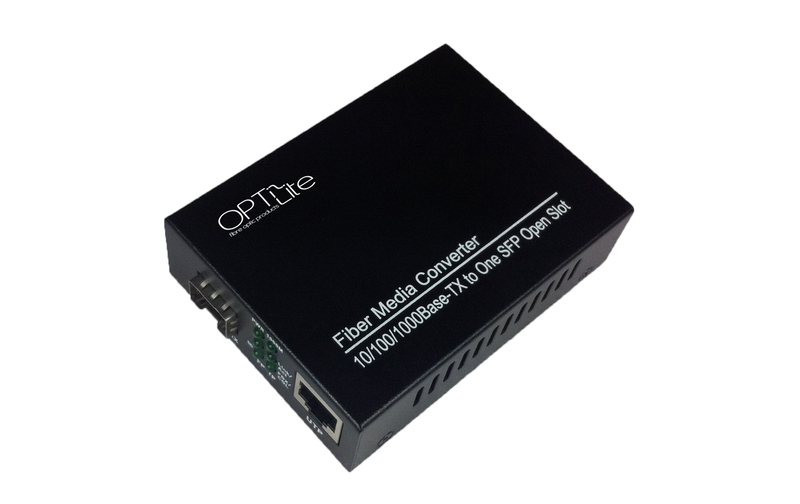 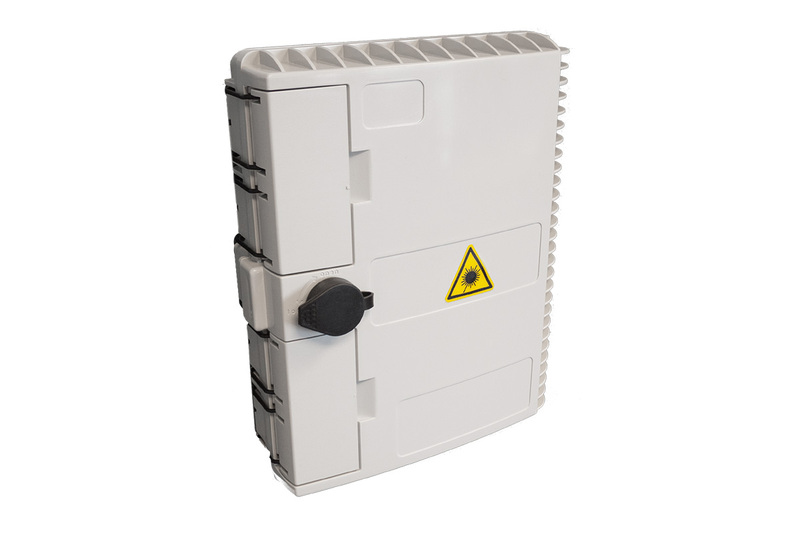 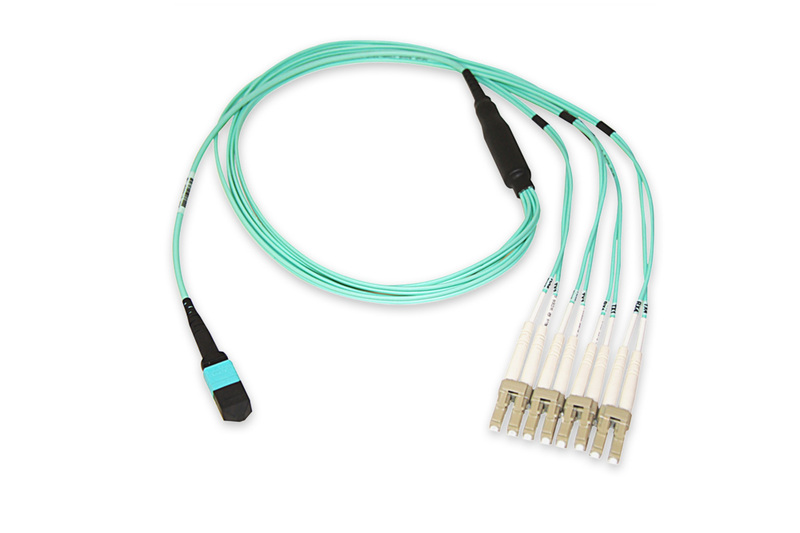 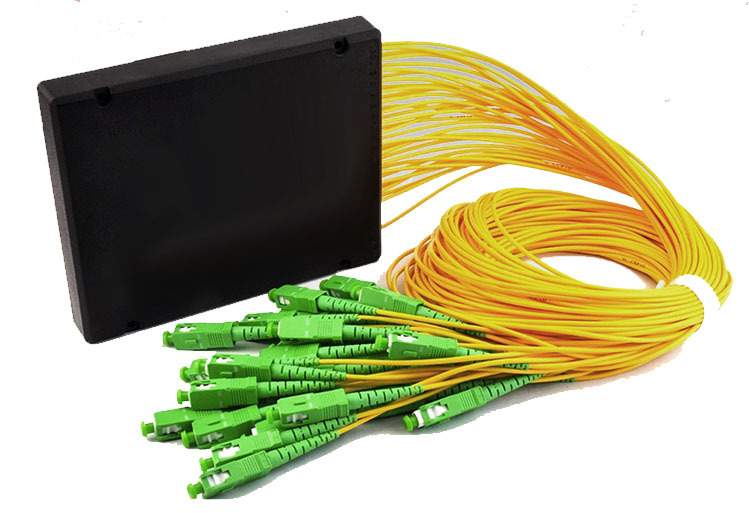 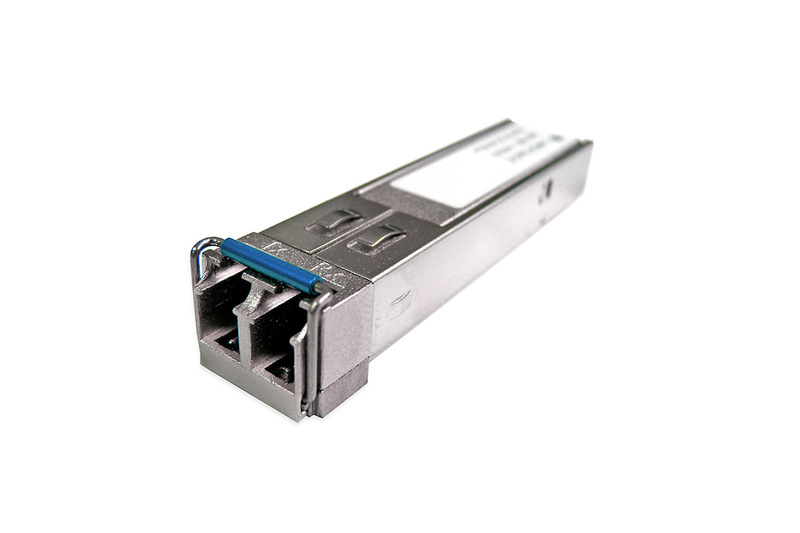 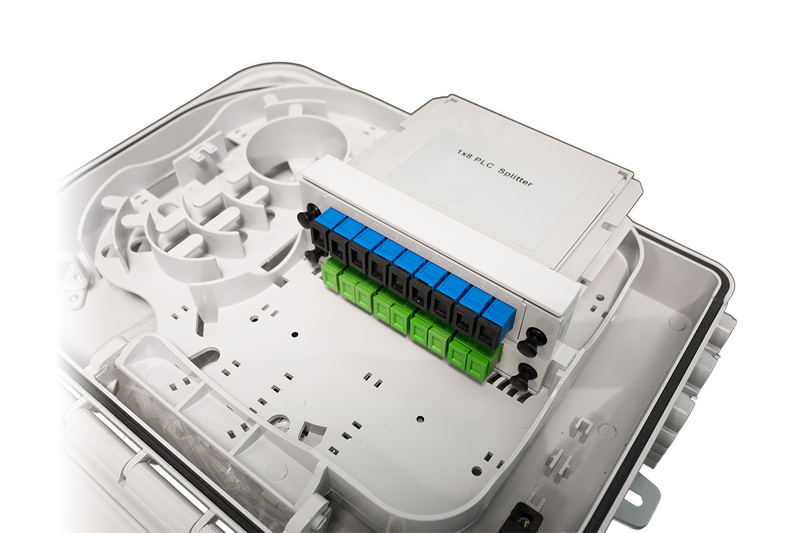 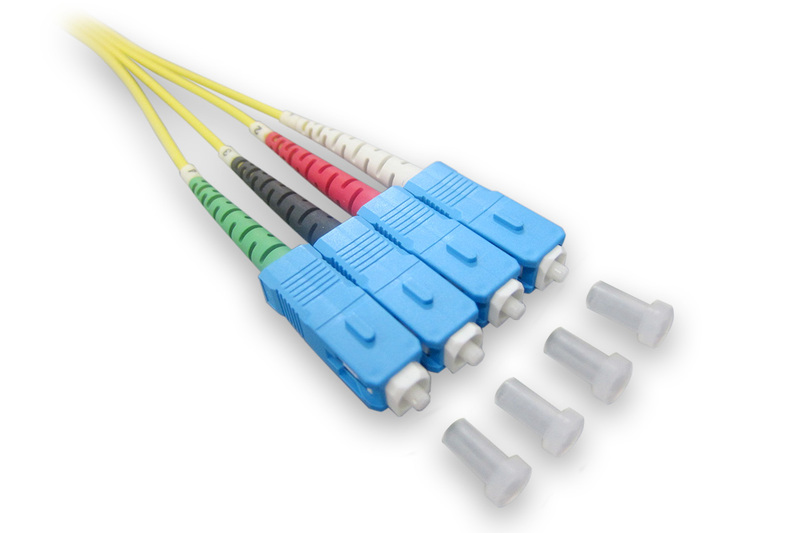 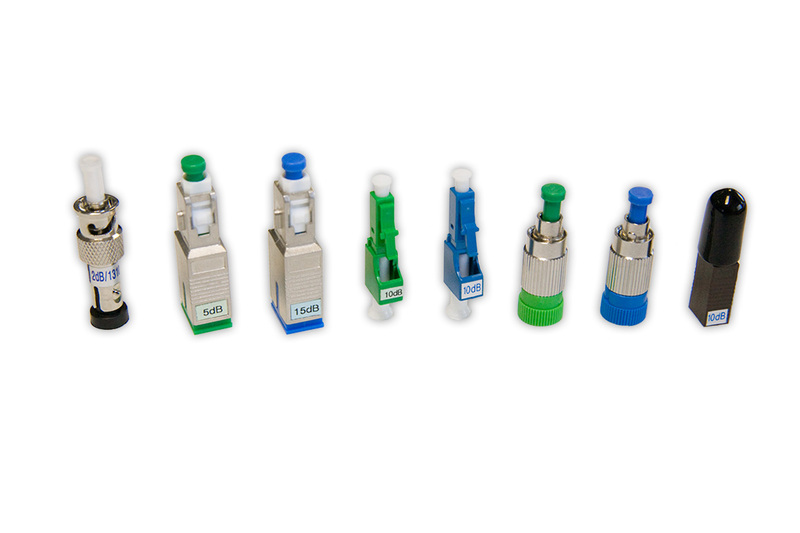 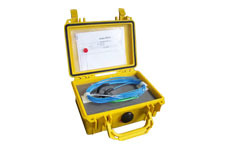 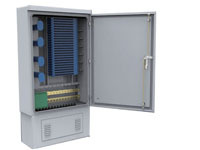 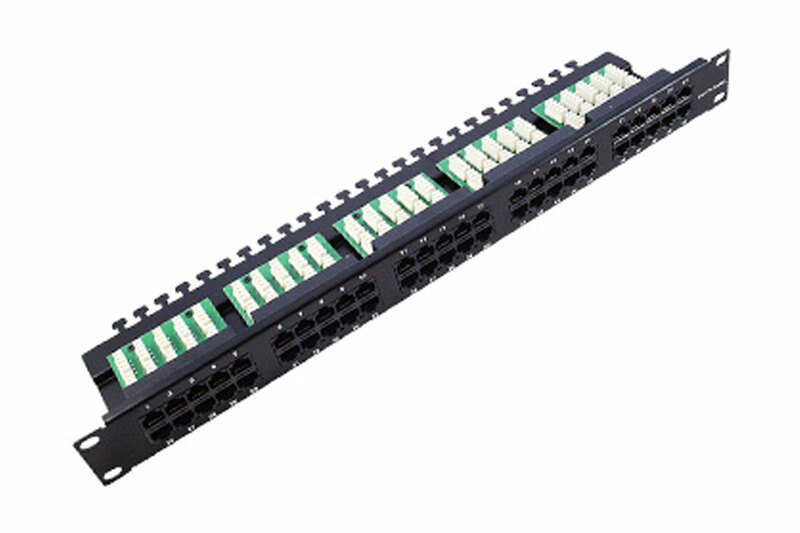 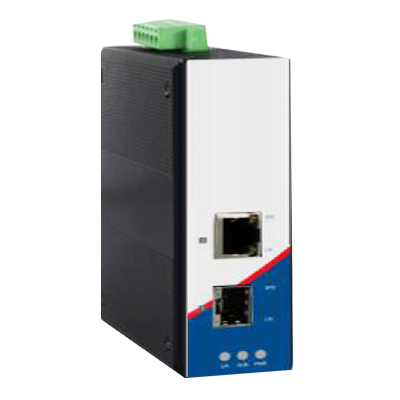 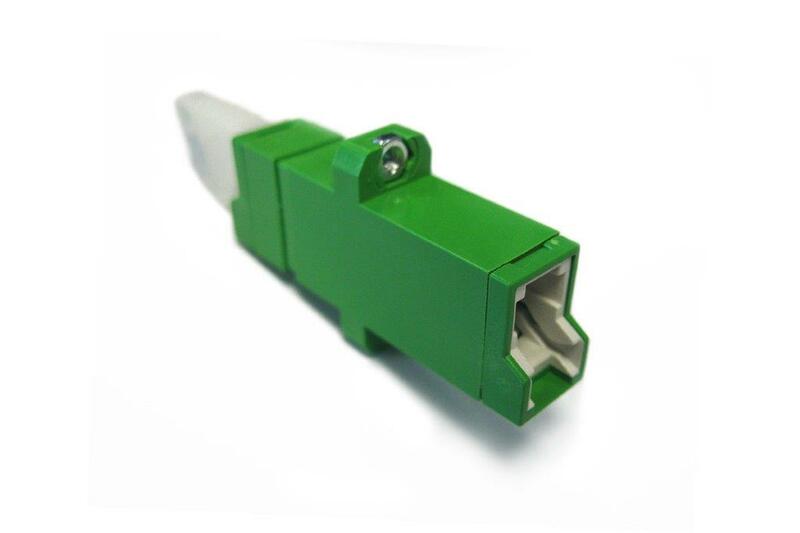 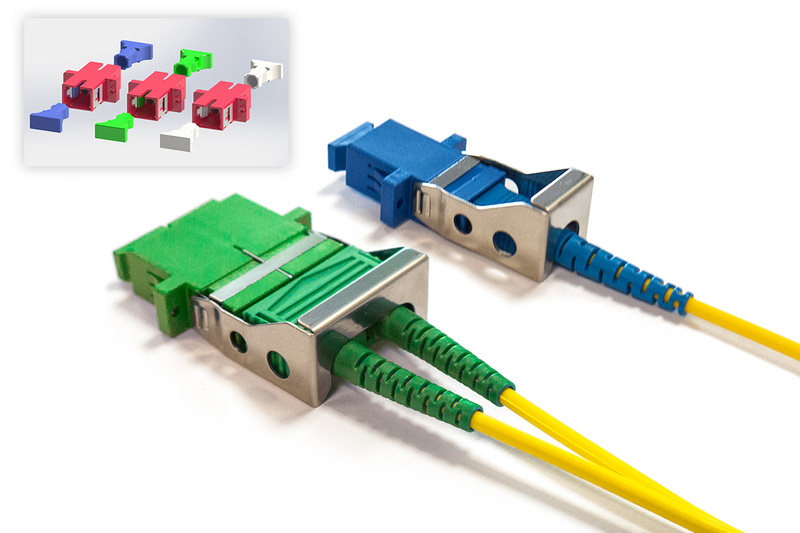 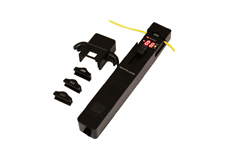 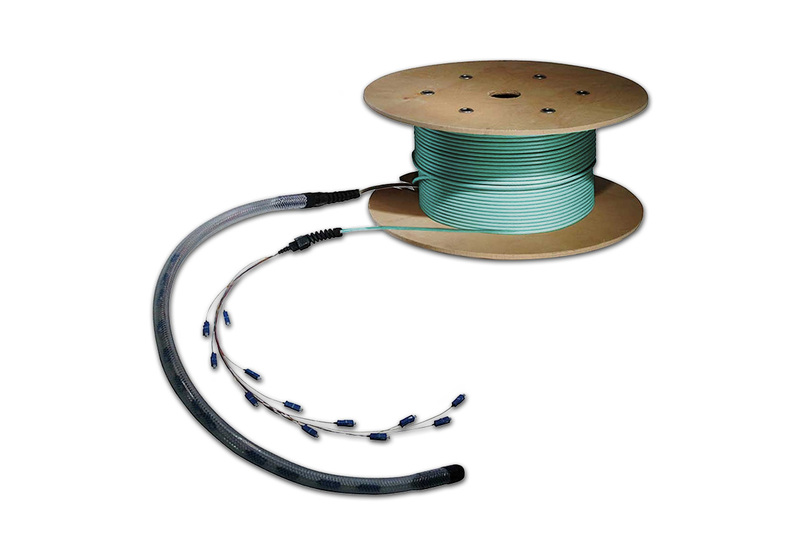 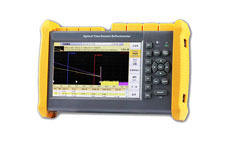 The IP rated box can be utilised for FTTH applications and other installation requirements to break-out and splice input cables into drop cables, pigtails, or direct patching. 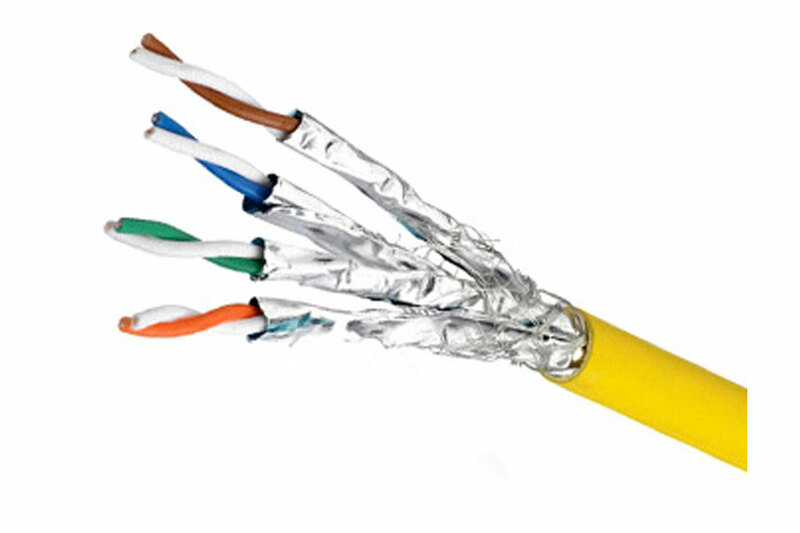 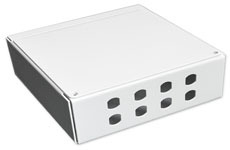 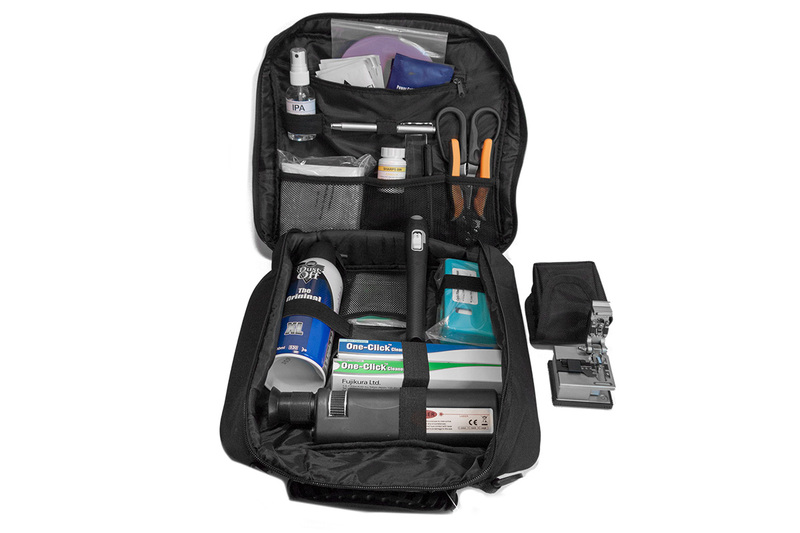 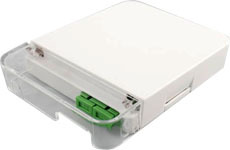 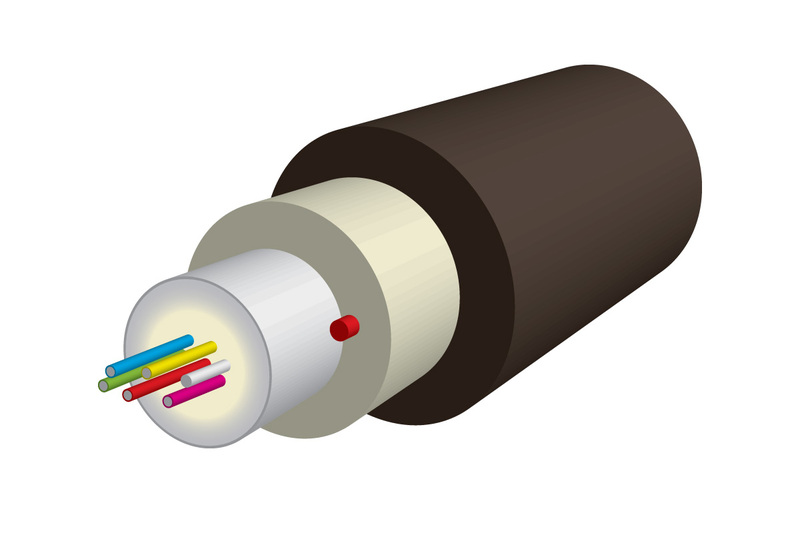 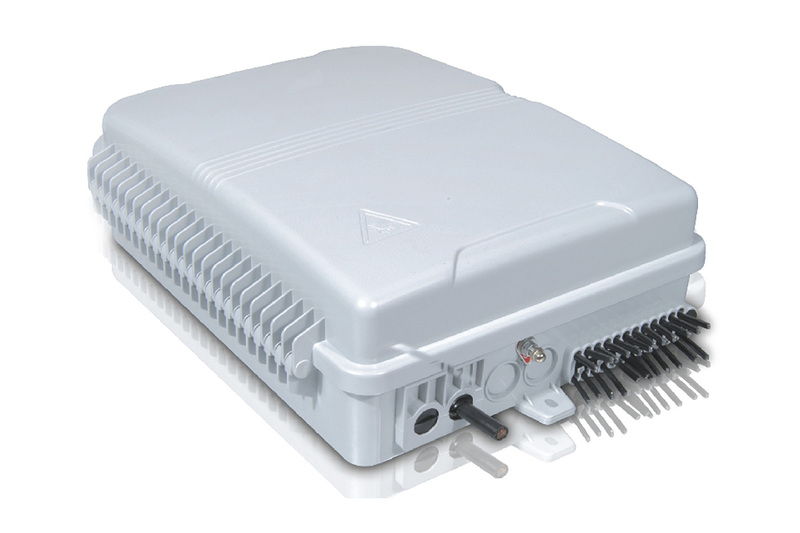 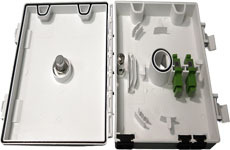 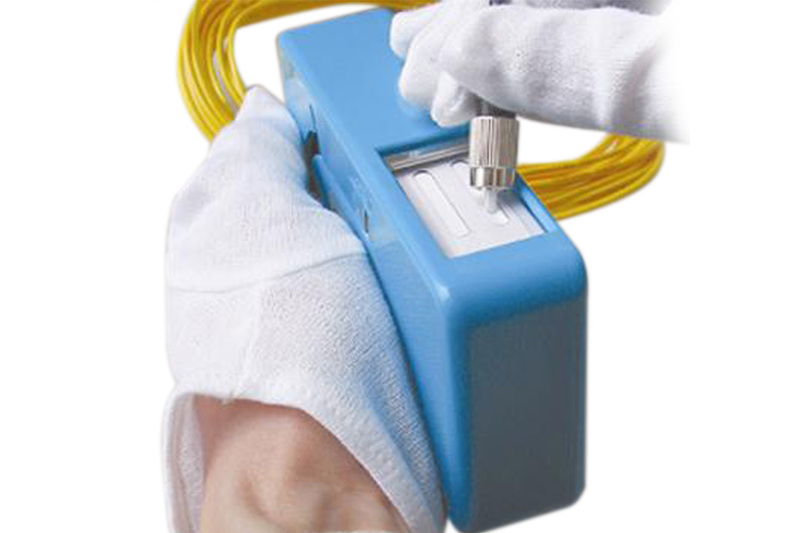 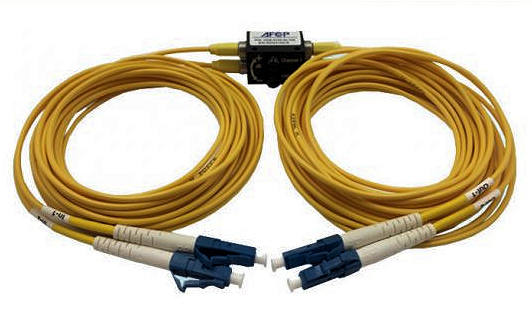 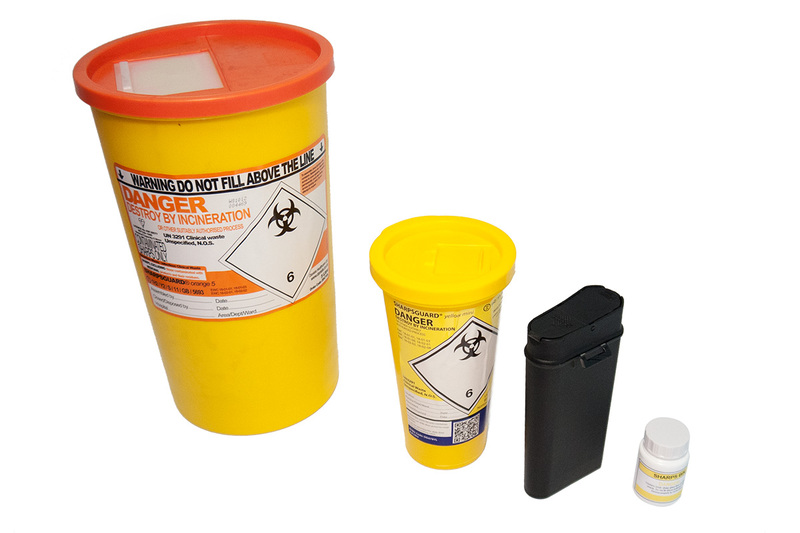 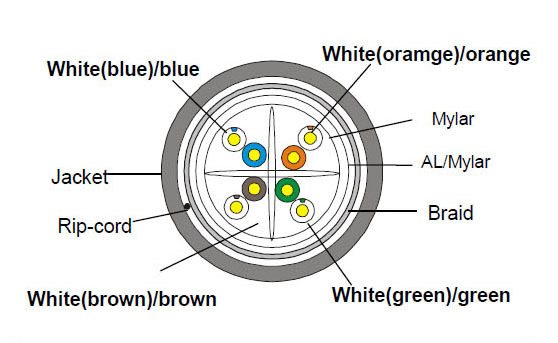 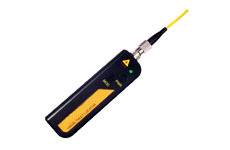 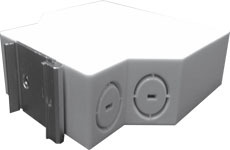 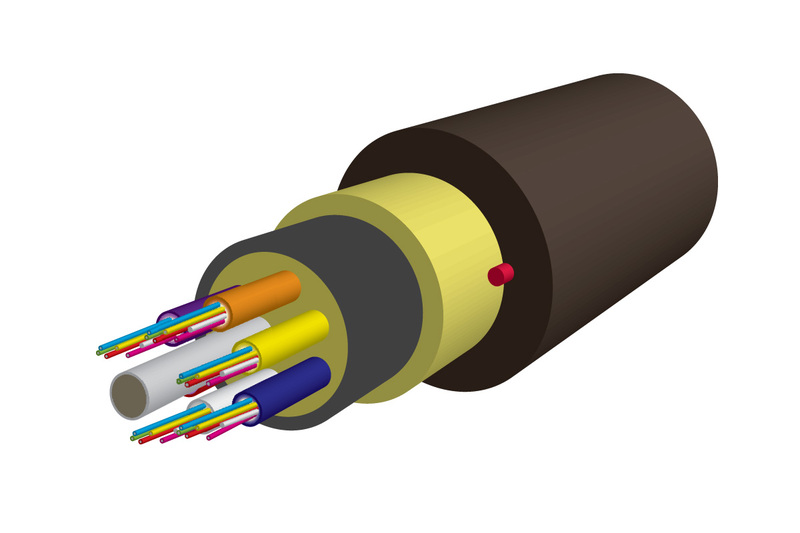 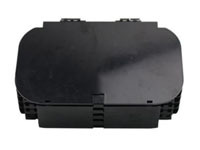 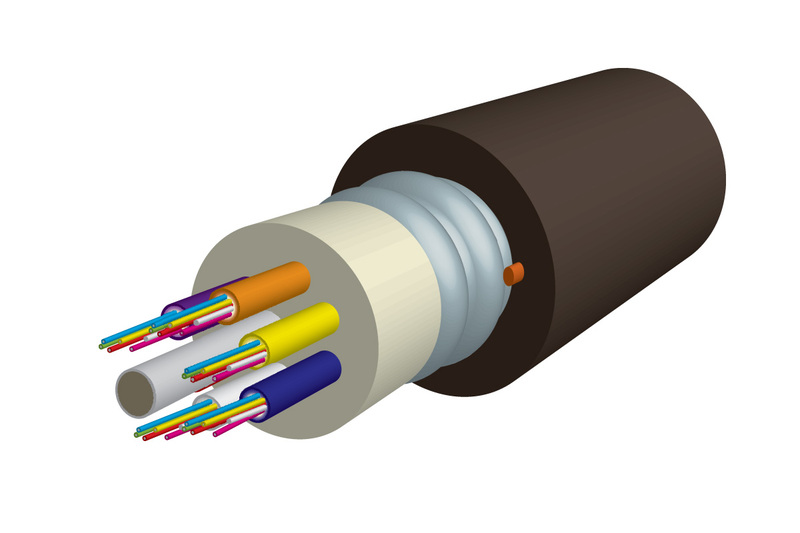 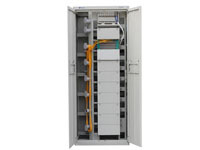 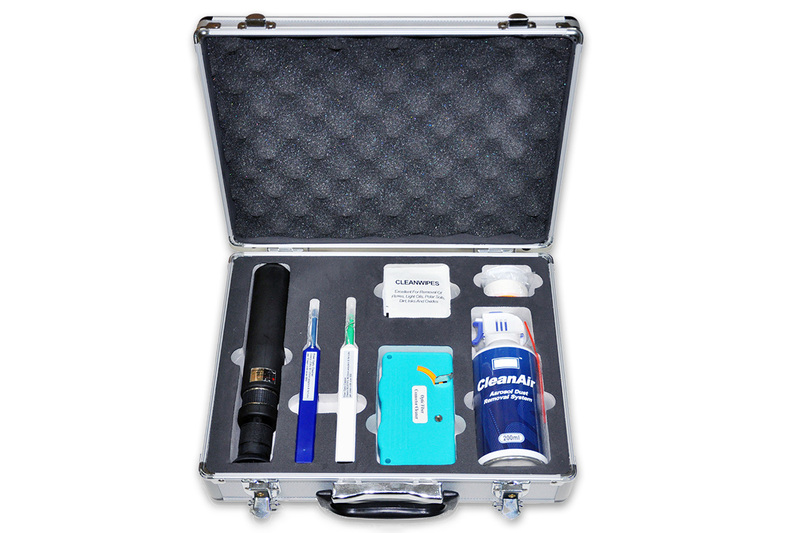 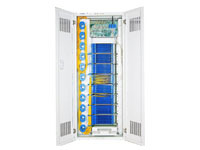 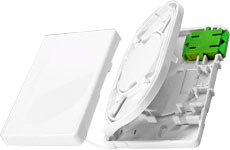 The box may also be used for protective interconnection of a fibre network and is suitable for outdoor, riser and tunnel installations. 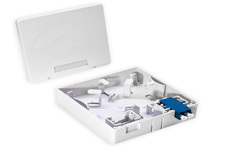 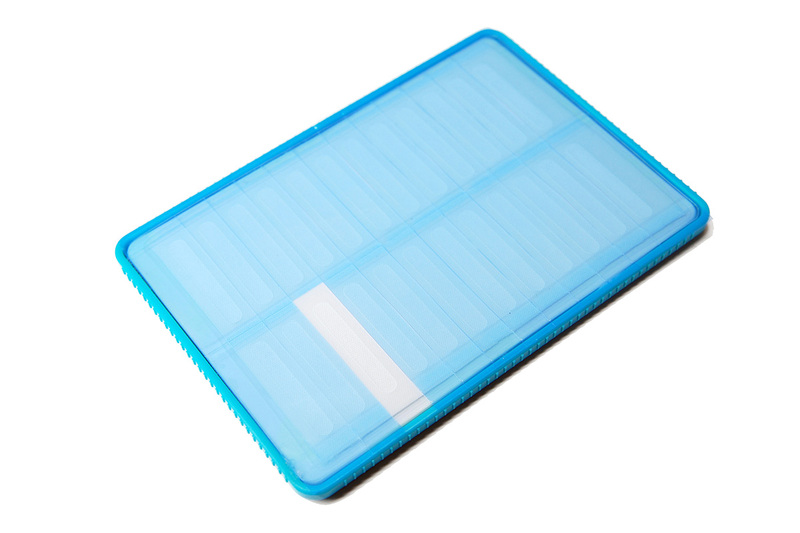 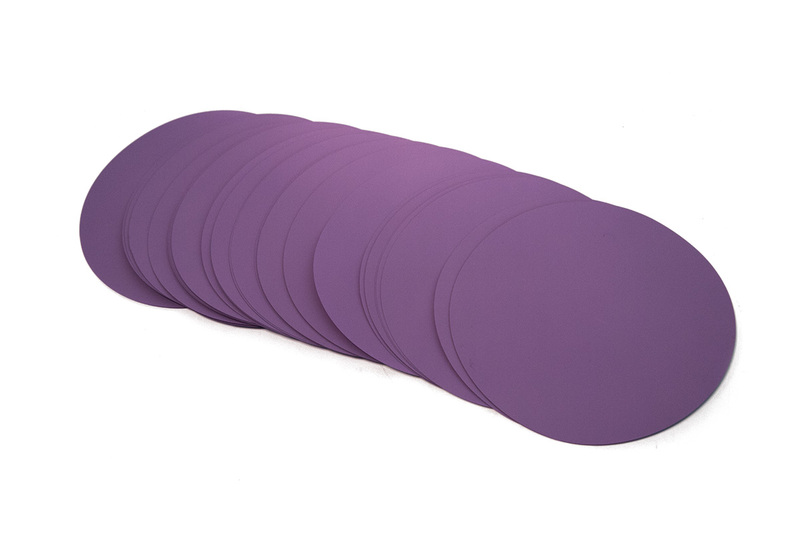 The box is made from anti-ageing materials, with ultra violet protective characteristics. 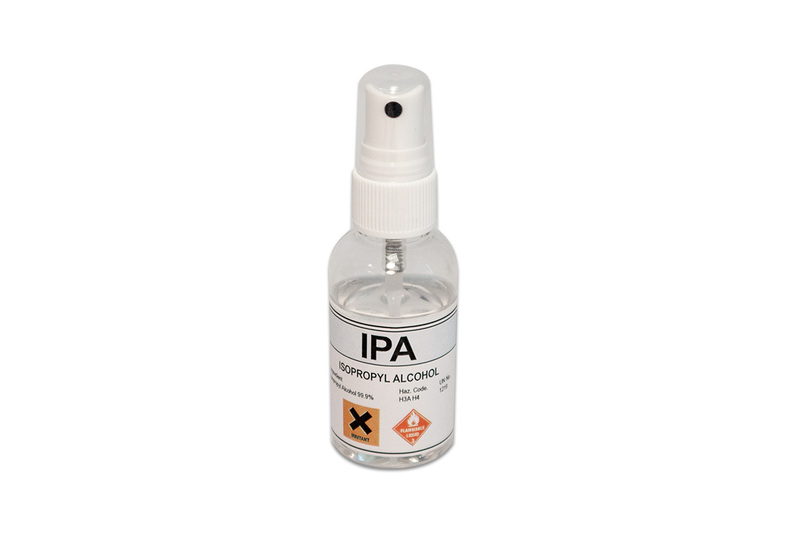 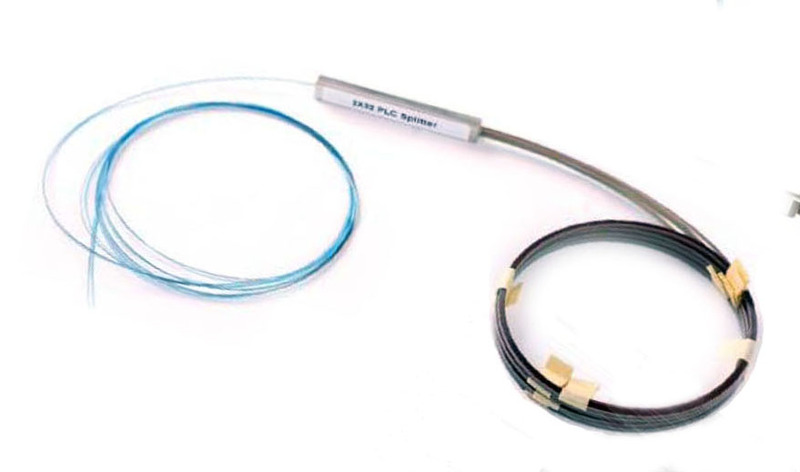 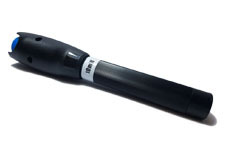 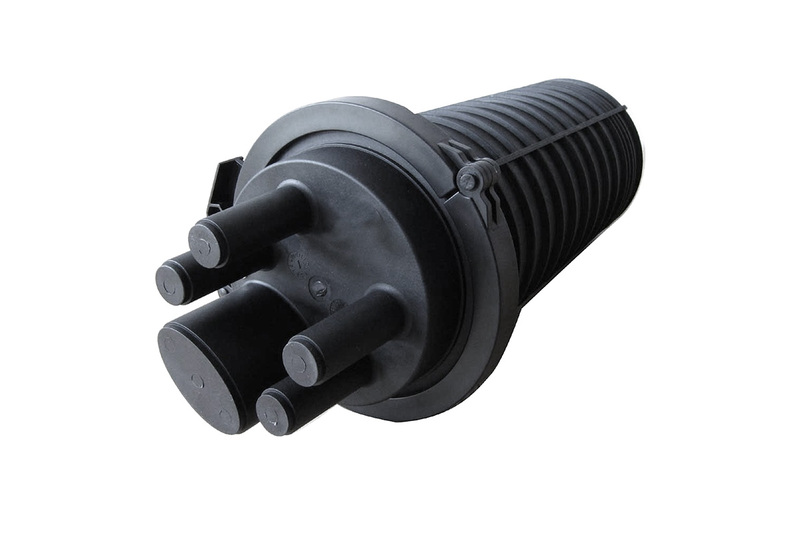 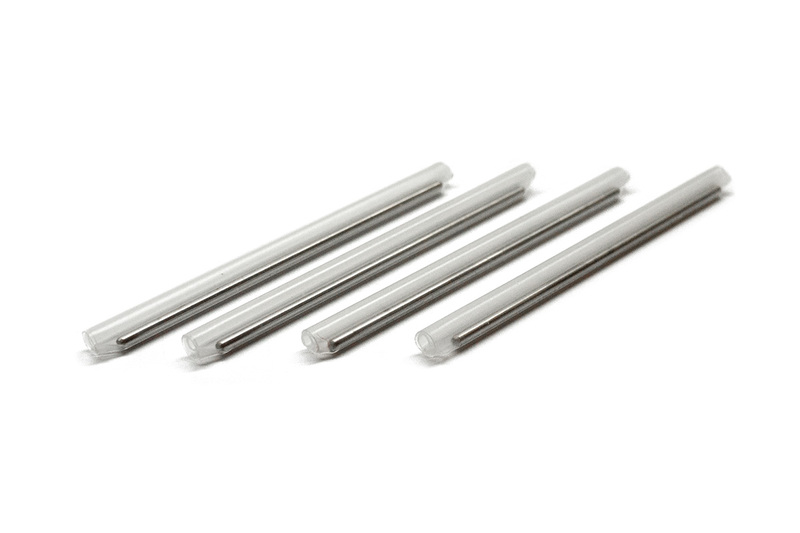 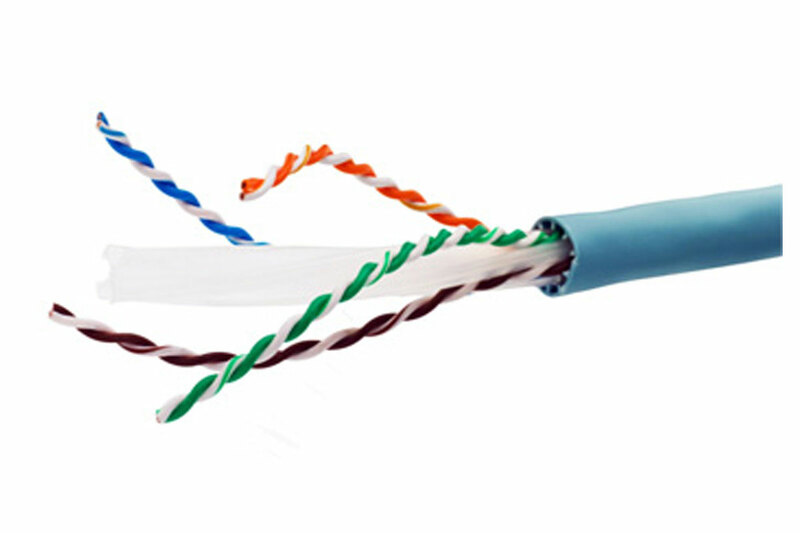 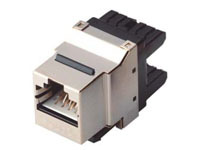 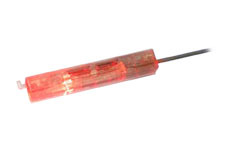 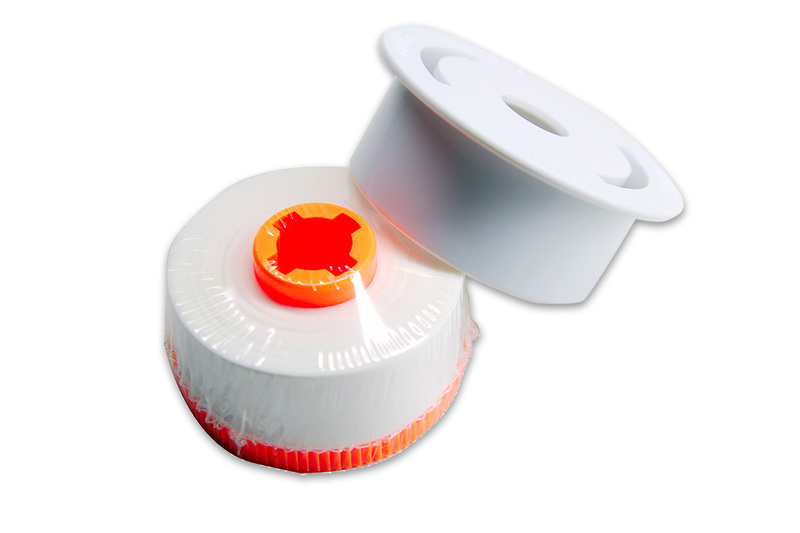 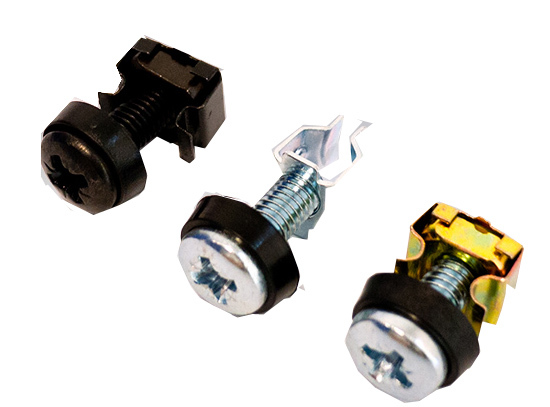 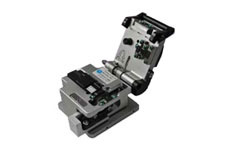 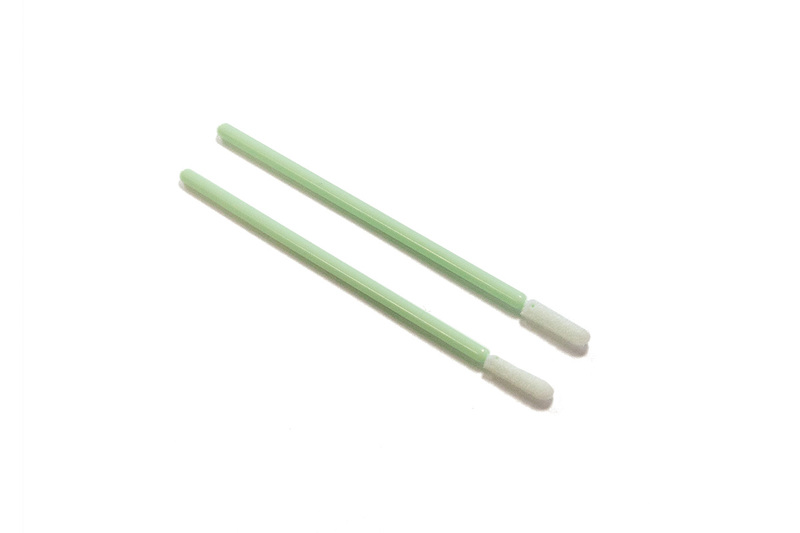 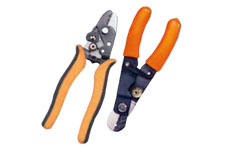 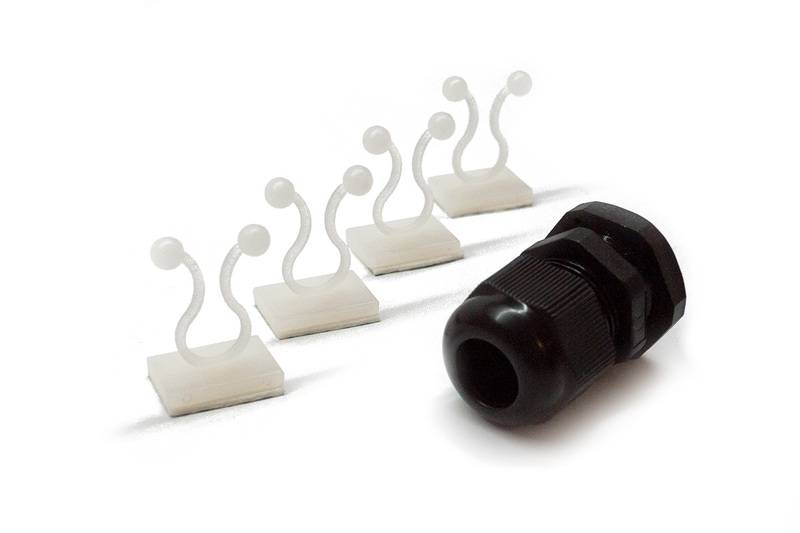 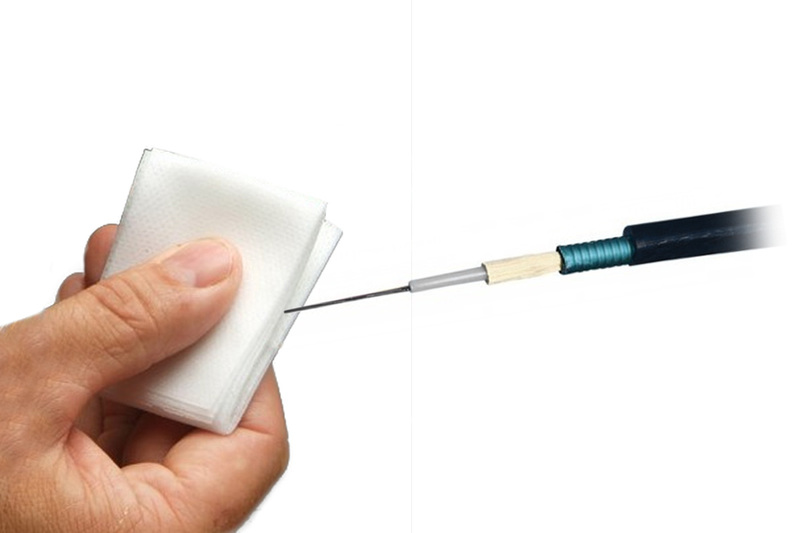 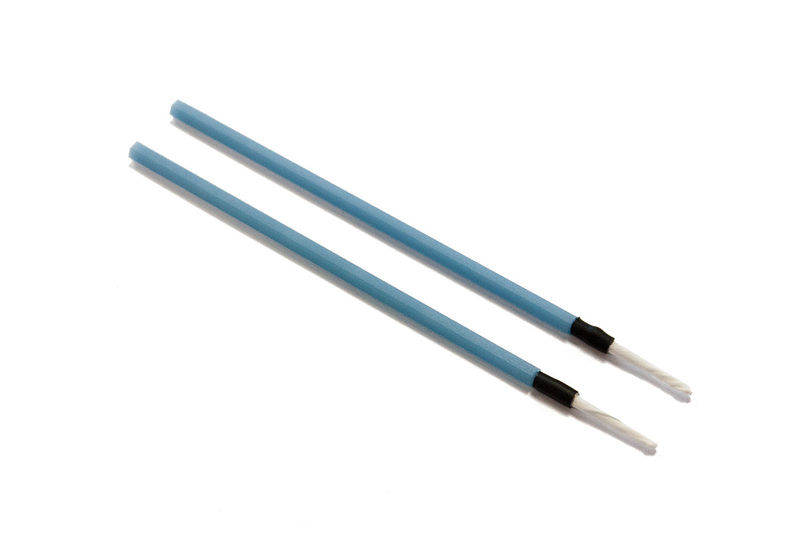 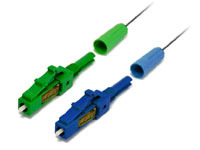 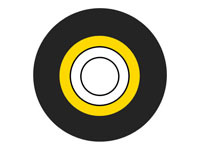 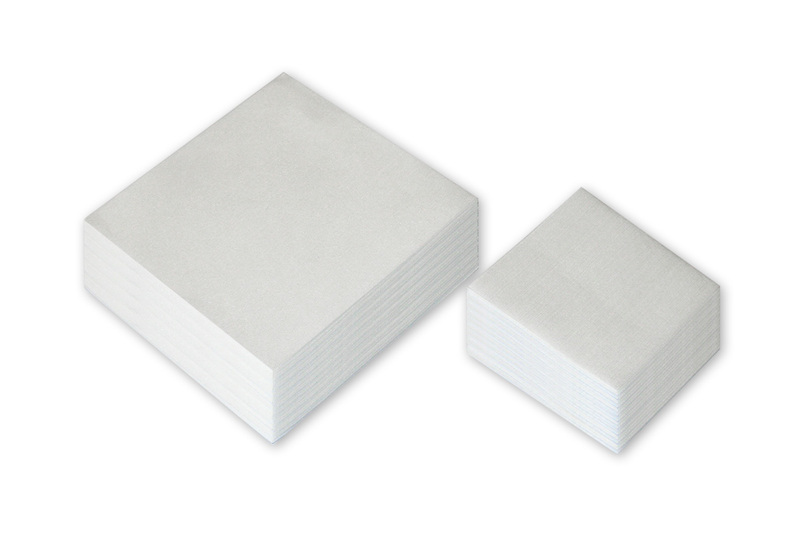 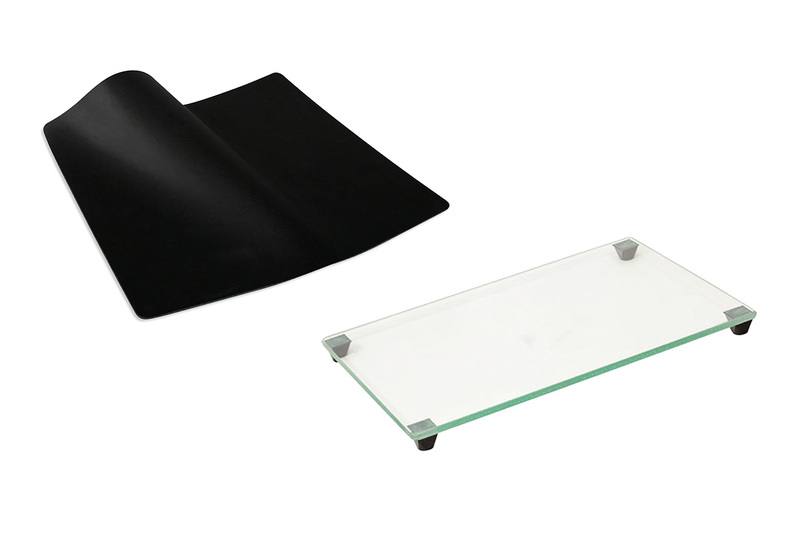 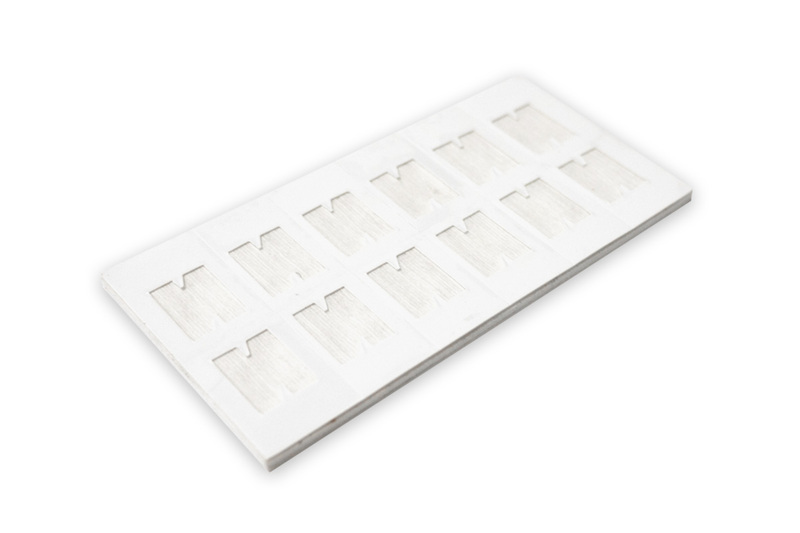 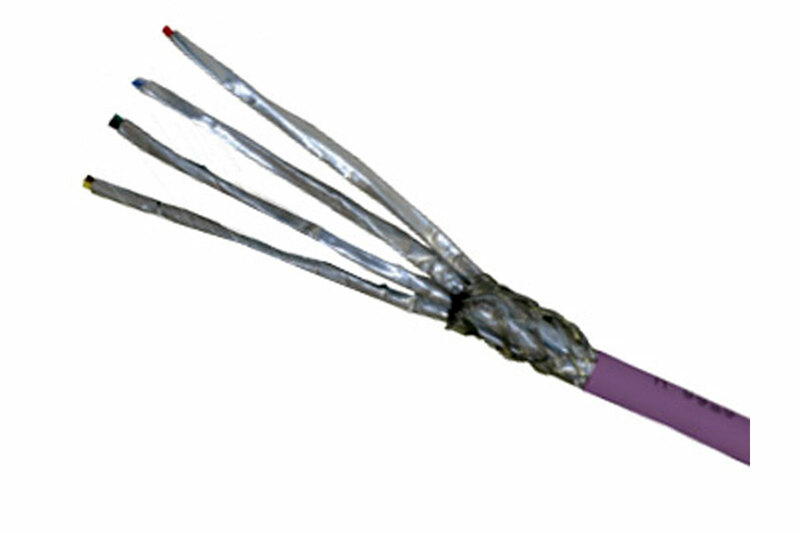 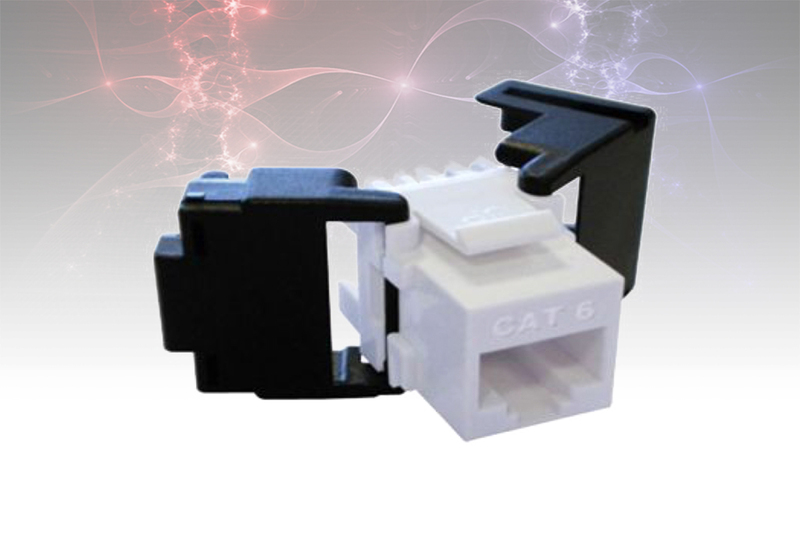 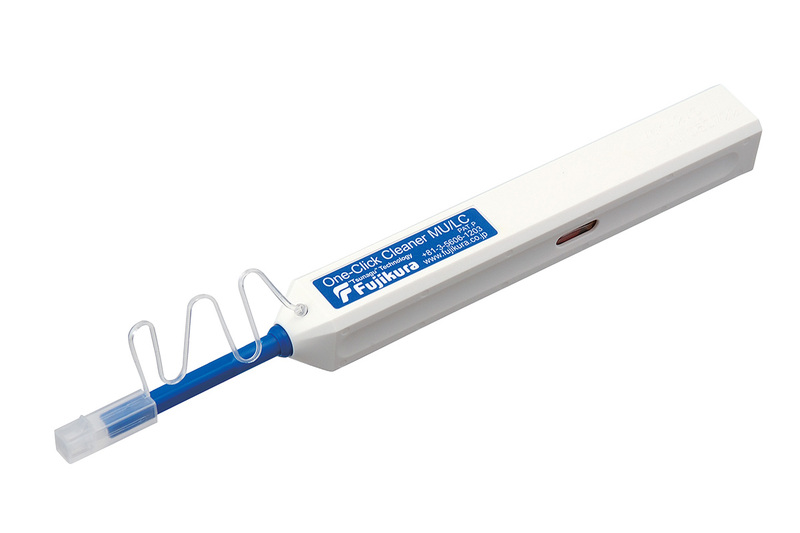 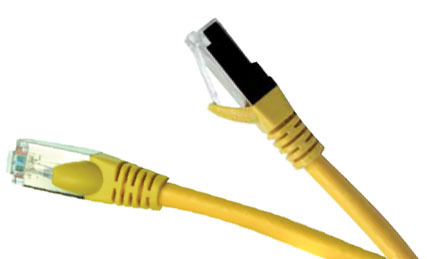 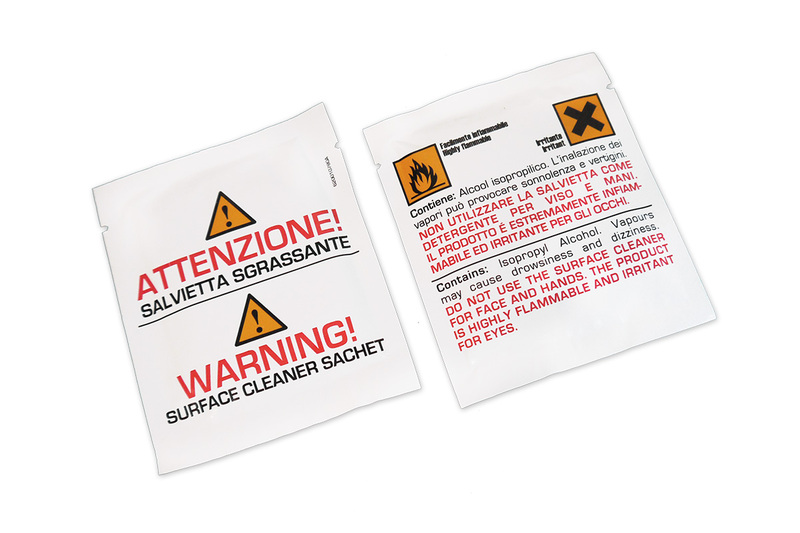 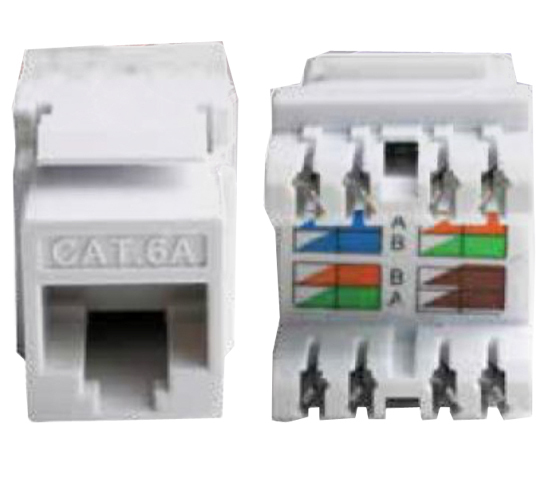 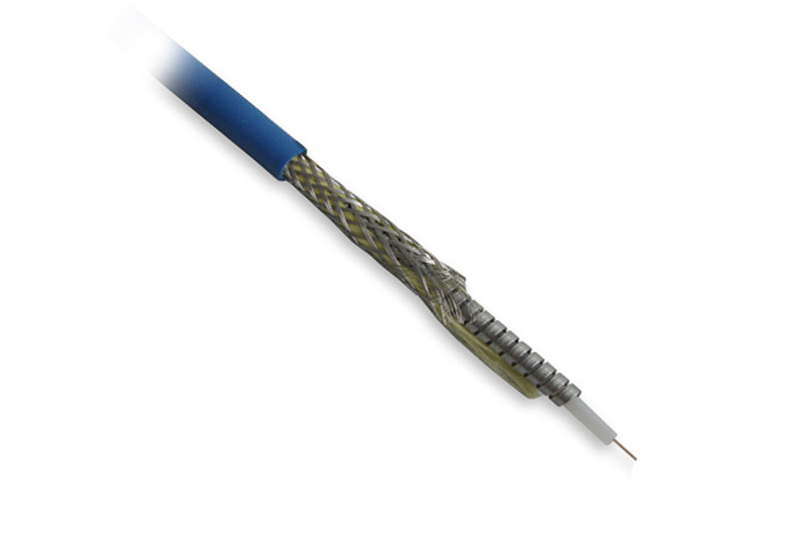 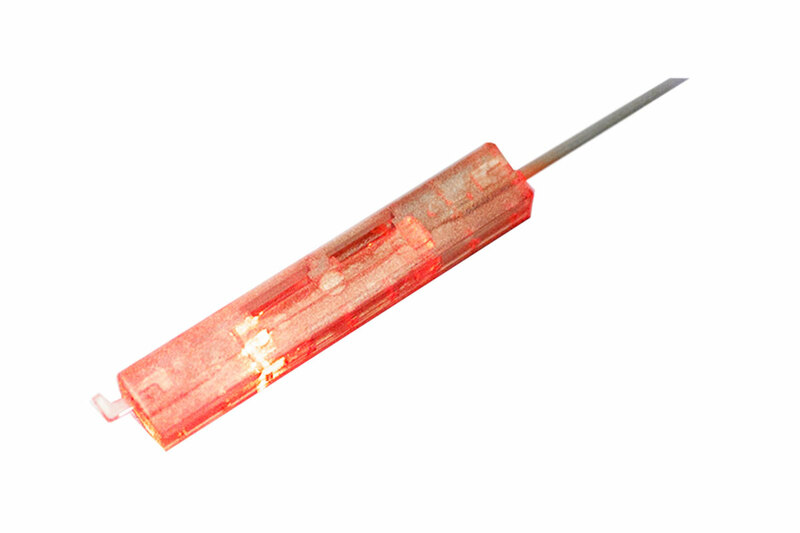 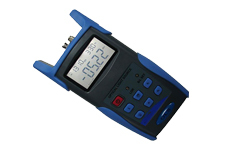 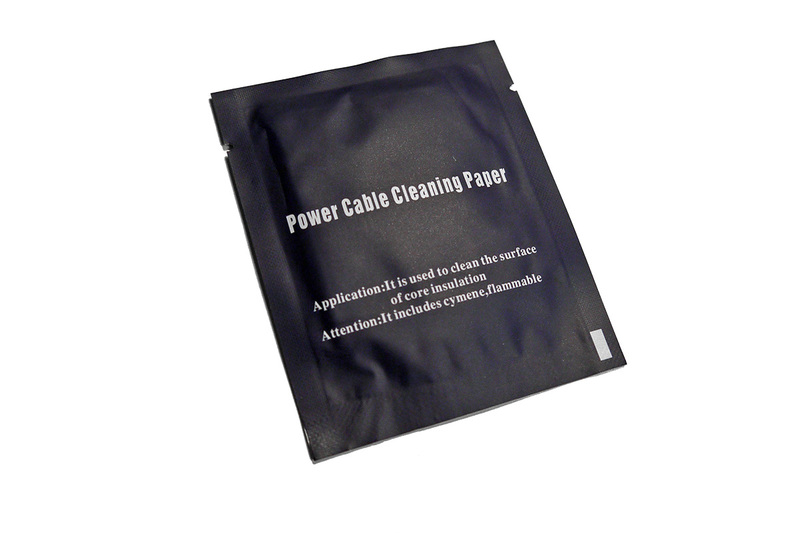 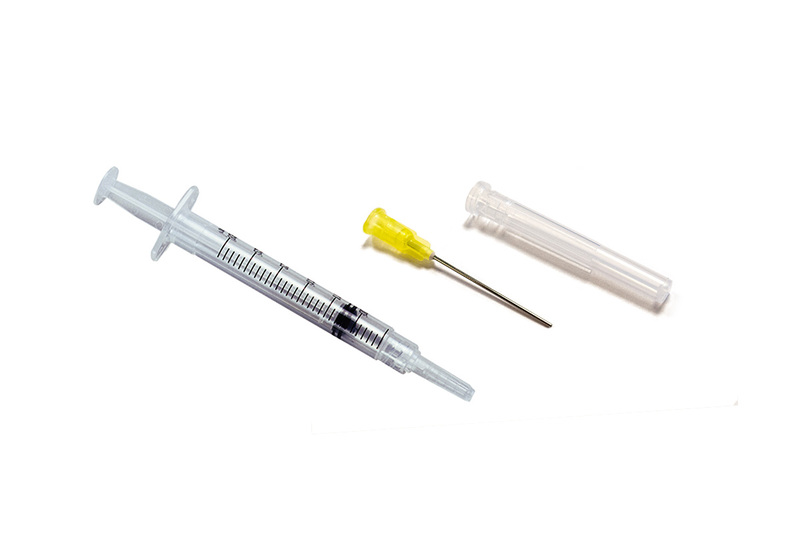 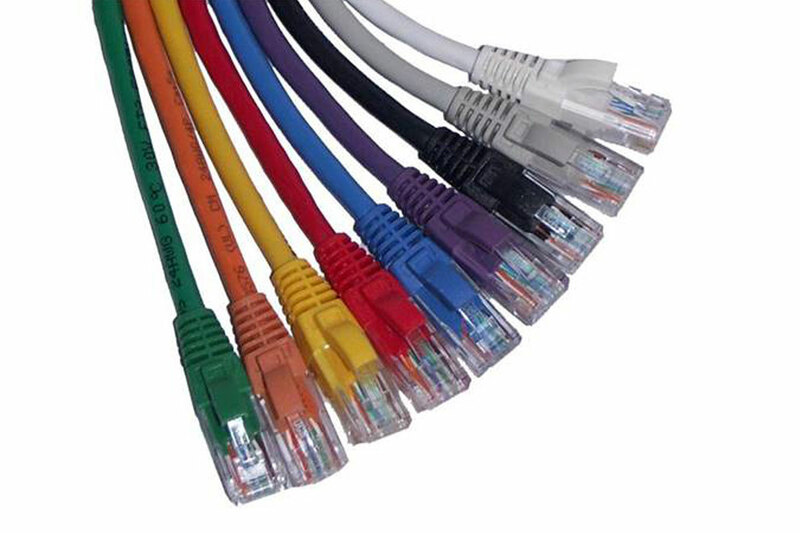 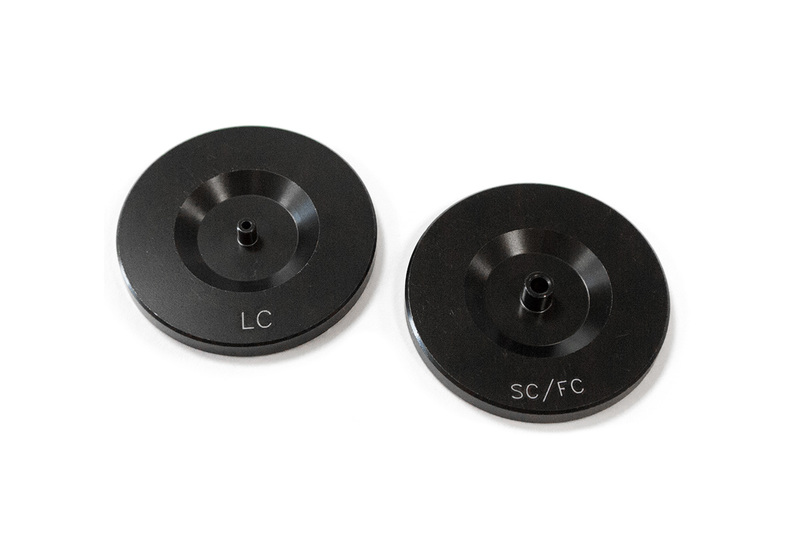 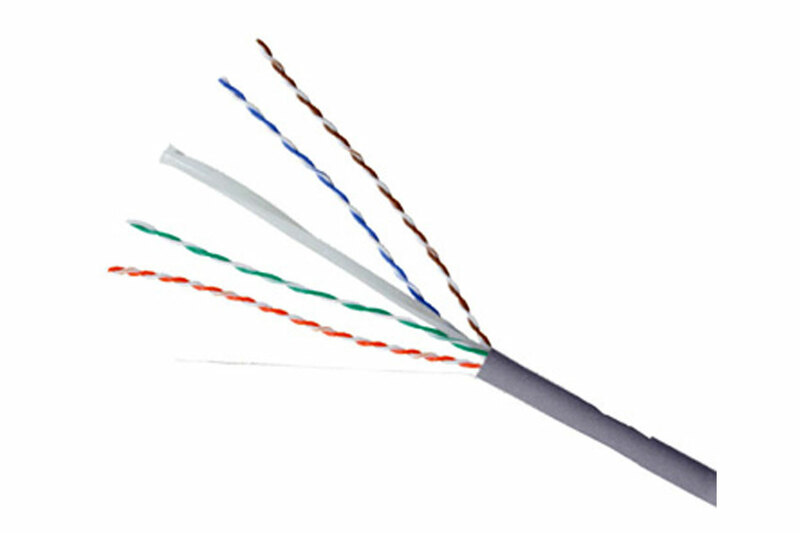 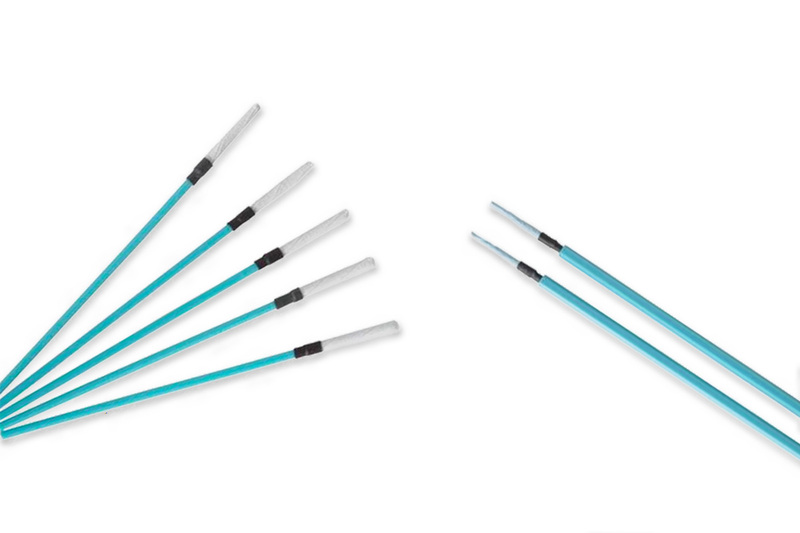 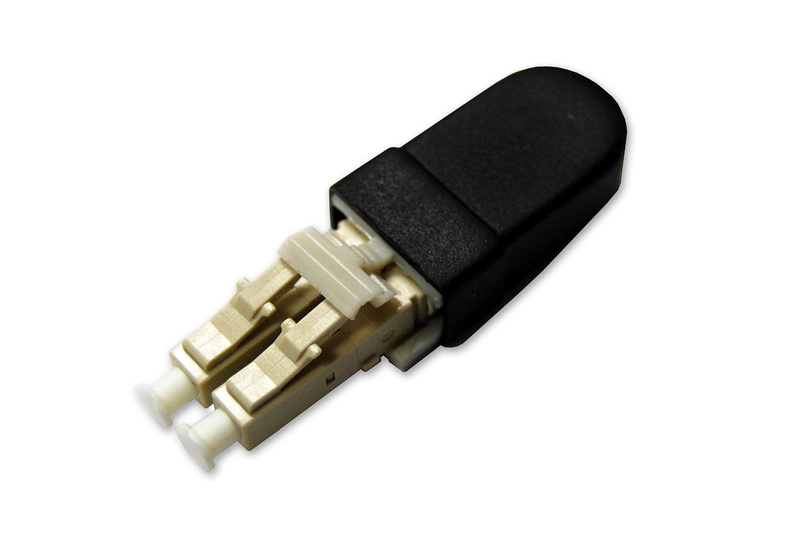 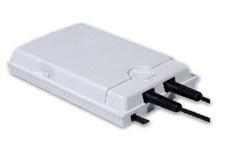 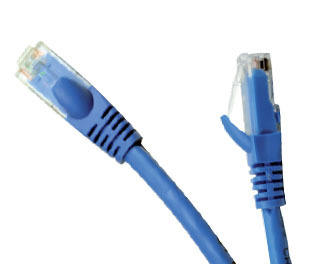 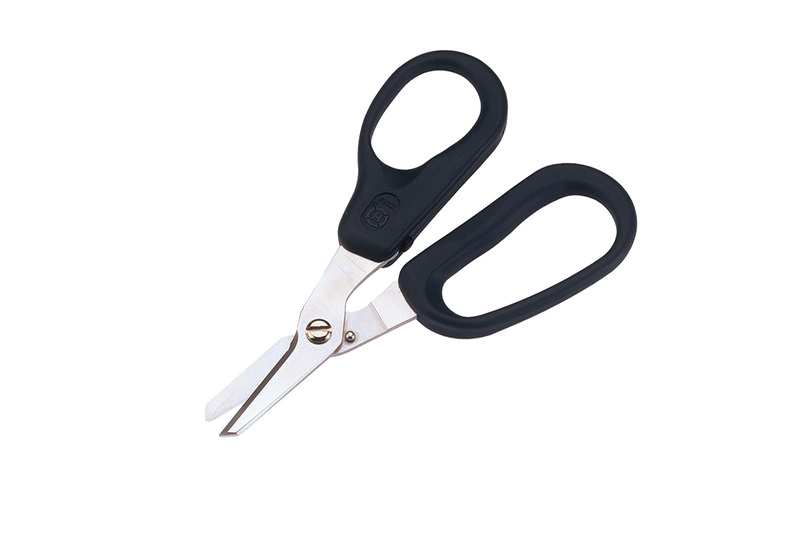 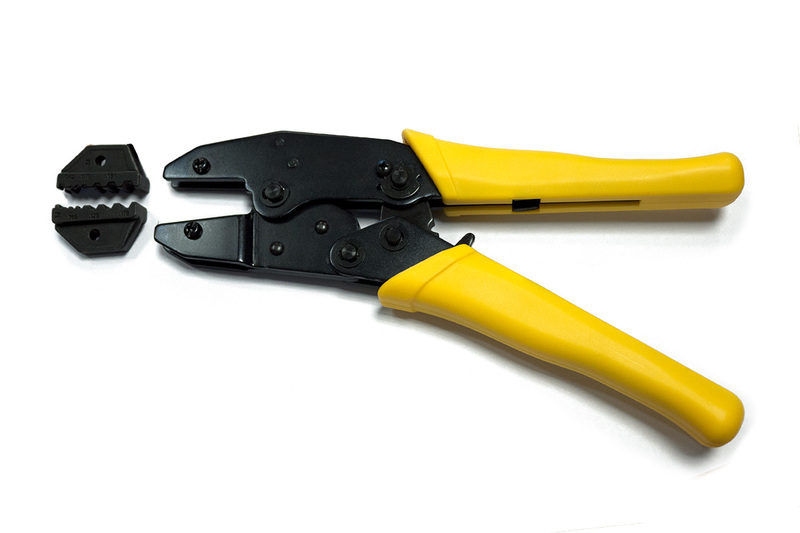 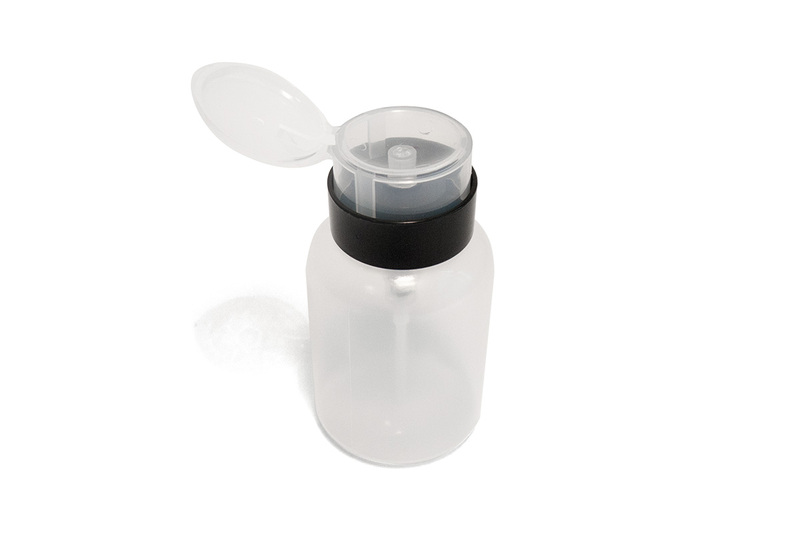 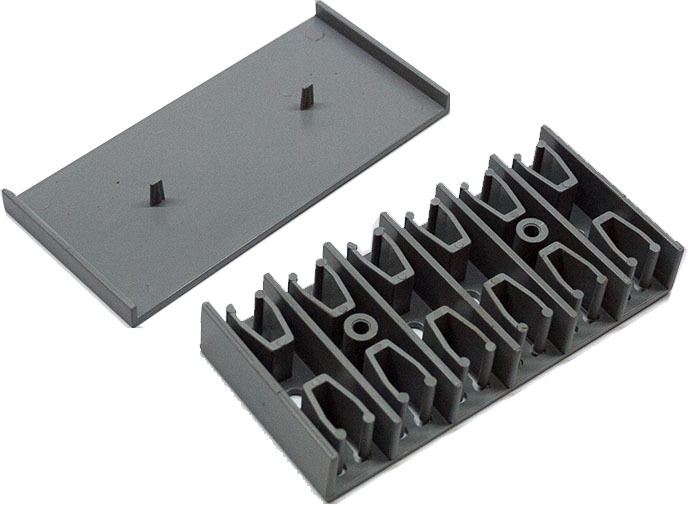 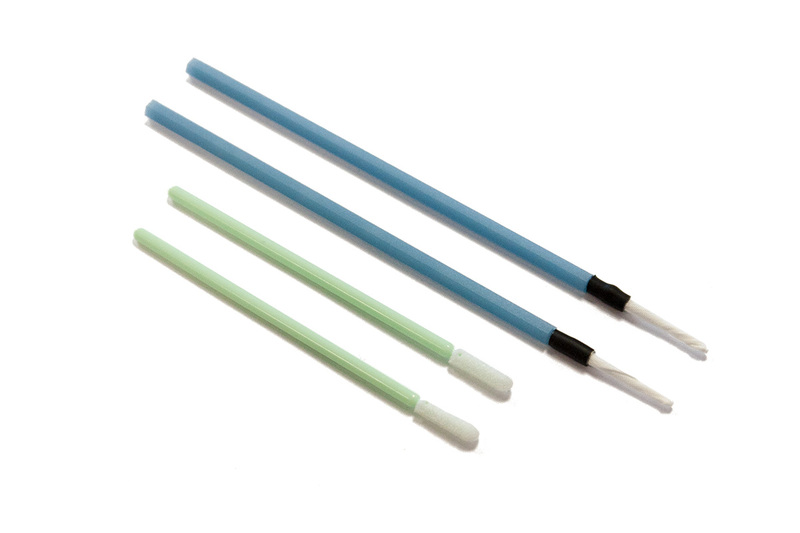 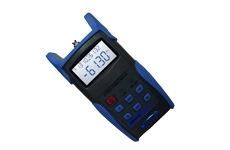 The sealing mechanism is based on pressed rubber / silicon strip and is rated to IP65. 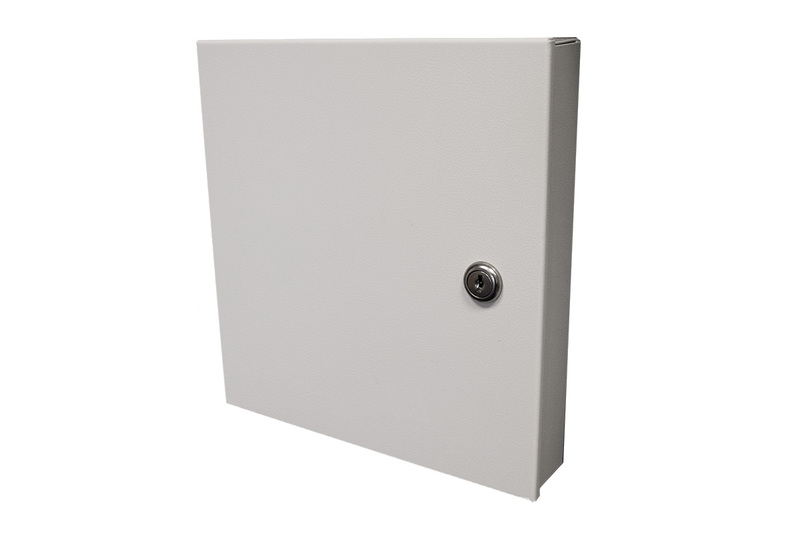 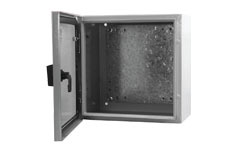 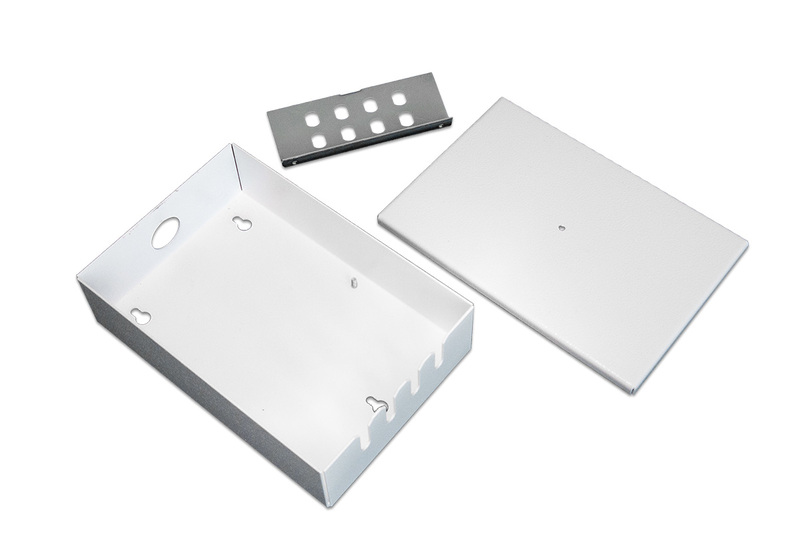 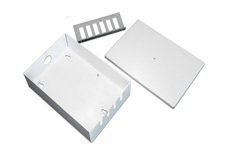 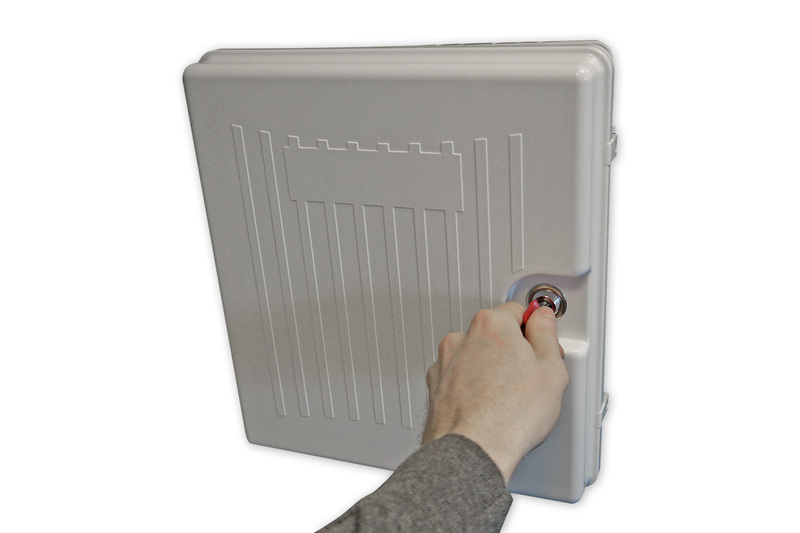 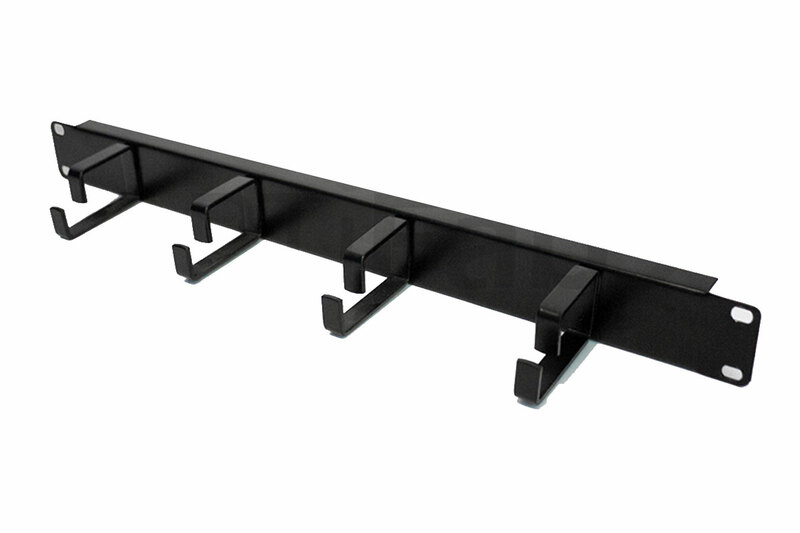 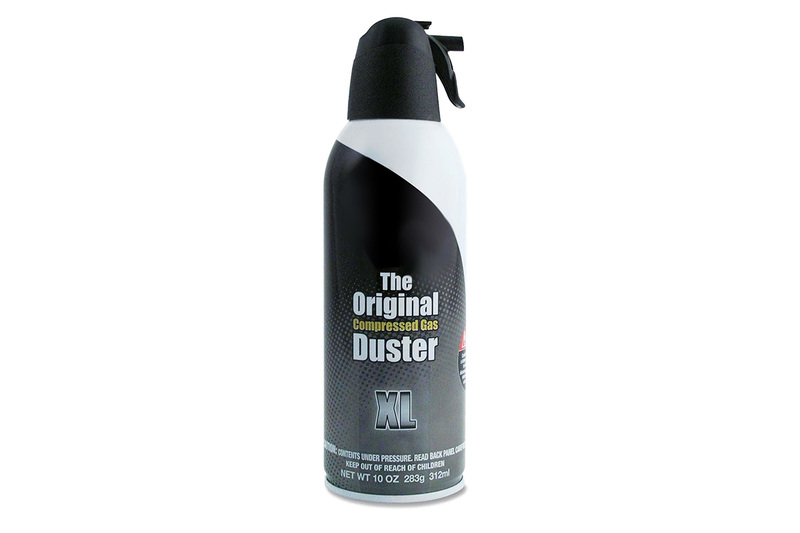 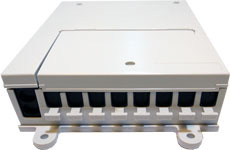 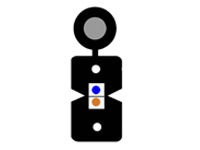 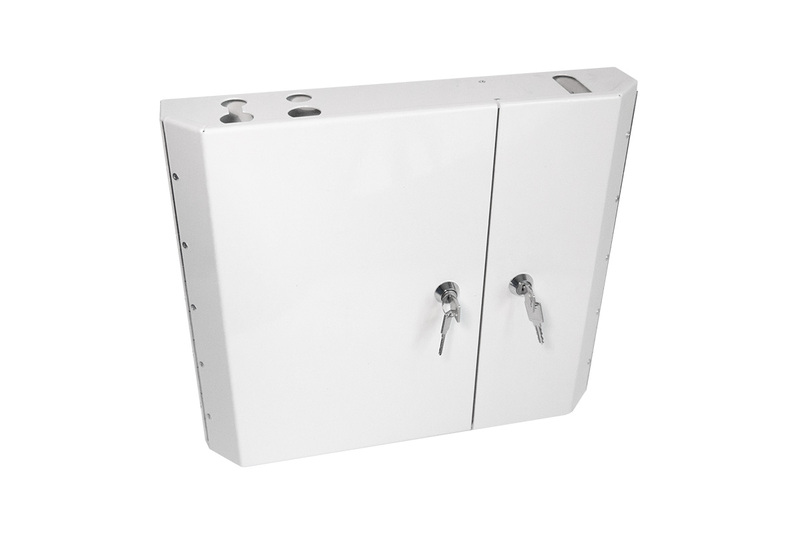 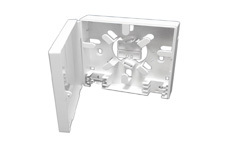 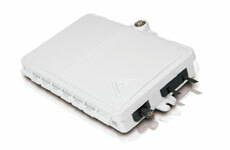 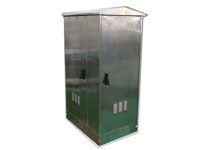 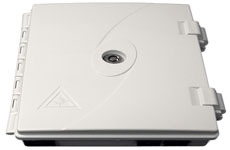 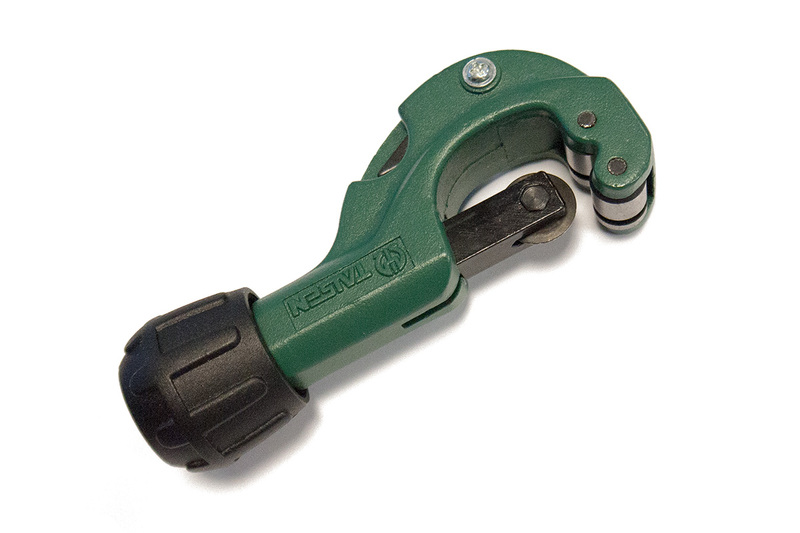 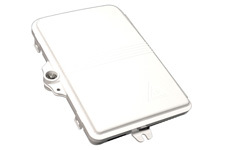 The box is fitted with a lock for additional security and can be installed on walls or mounted on a pole. 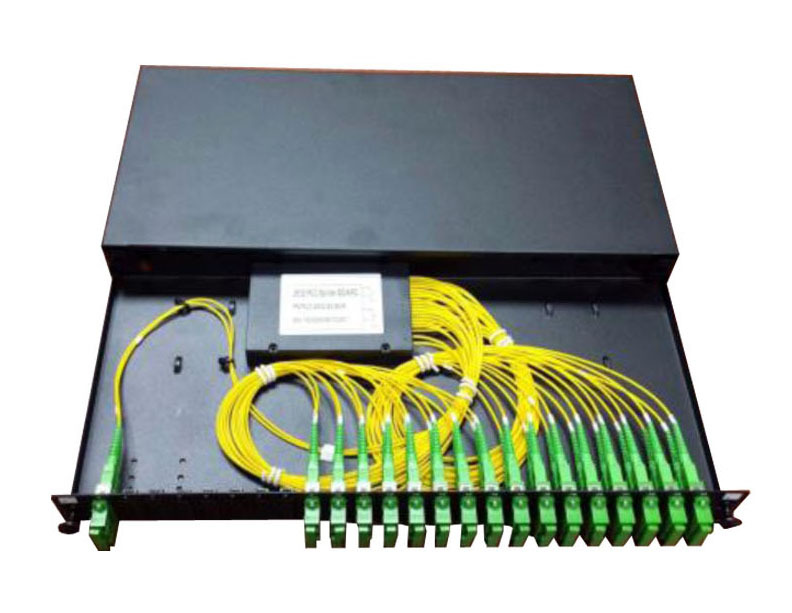 Operating Temperature:-20 Degree C ~ + 70 Degree C; storage:-40 Degree C ~ + 80 Degree C.
Spare loops of pigtails and drop cables can be stowed in the storage compartment for convenience, or for maintenance. 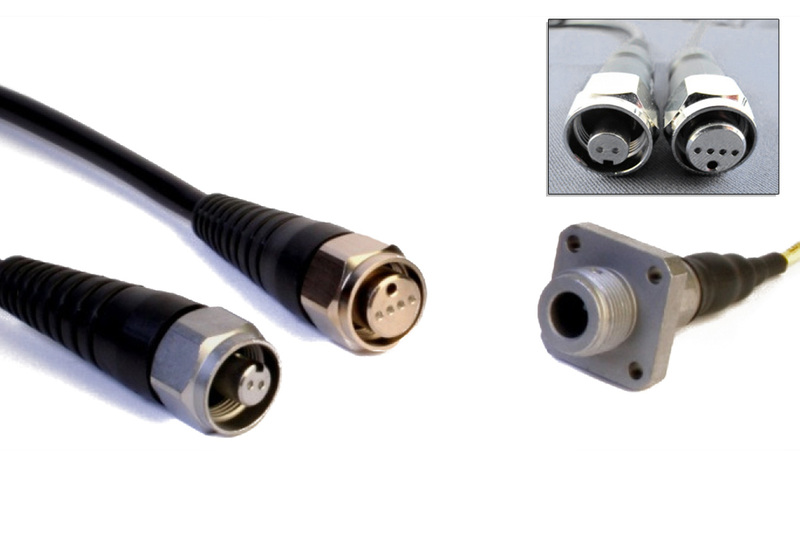 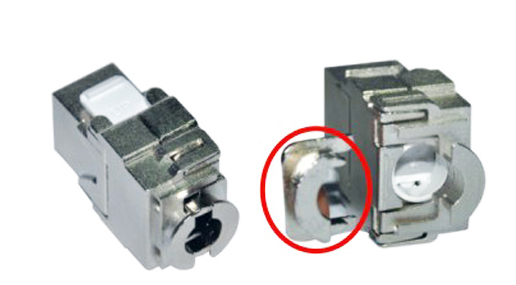 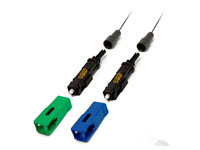 Special locking device for output cables.